Some time back – as a part of the series on the Music of India – I had posted brief profiles of some of the well known texts on Samgita-shastra (Musicology), which established a sound theoretical basis (Lakshana) for the structural framework of the classical Music traditions; and, their practice (Lakshya). Those texts, produced over a long period of time, described, in precise terms, the concepts of Music; its concerns; how it should be taught, learnt and performed; and, how it should be experienced and enjoyed. It was an evolutionary process cascading towards greater sophistication. Those Lakshana-granthas projected their vision of how the Music should develop and prosper in future, at the same time retaining the pristine purity of the time-honoured tradition. In the process, those texts, produced over the centuries, defined and protected the principles; as also, guided and regulated the performance of the chaste Music of India. Some friends and readers inquired whether I could write, on similar lines, about the texts concerning the evolution of the principles and techniques of the performing arts of India; and, particularly , about Dance , which is the most enchanting form of them all; rich in elegance and beauty ; comprehensive; and highly challenging. Various thinkers and writers of the Lakshana granthas, over a long period, have put forward several theories based on their concept of the essential core, the heart or the soul of the art of Dance (Natyasya Atma). In the series of articles that are to follow, I have attempted to trace the unfolding of the principles and practice of the performing arts of India, as discussed in various texts spread over several centuries. In the present installment of the series, let’s take an overview of the texts of the Indian Dancing traditions. In the subsequent parts, we may discuss each of the selected texts, in fair detail. This may also be treated as a sort of General Introduction to the theories of Indian Dancing. It is customary to commence with Natyashastra, when it comes to any discussion related to the art-forms of India. To start with, we shall, briefly, talk about the text of the Natyashastra, in general; and, then move on to Natyashastra in the context of Dance. The Natyashastra of Bharata is regarded as the seminal and the earliest text extant text, represents the first stage of Indian arts where the diverse elements of arts, literature, music, dance, stage management and cosmetics etc., combined harmoniously in order to produce an enjoyable play. It is the source book for all art forms of India. The Nāṭyaśāstra, surely, is a work of great antiquity. Yet; the scholars opine that looking at the way the text has been compiled and structured; it appears to be based on earlier works. It is said that the text which we know as Natya-Shastra was based on an earlier text that was much larger. That seems very likely; because, the Natyasastra, as we know, which has about 6,000 karikas (verses), is also known as Sat-sahasri. The later authors and commentators (Dhanika, Abhinavagupta and Sarada-tanaya) refer to the text as Sat-sahari; and, its author as Sat-sahasri-kara. But, the text having 6,000 verses is said to be a condensed version of an earlier and larger text having about 12,000 verses (dwadasha-sahasri). It is said; the larger version was known as Natya- agama and the shorter as Natya-shastra. And, again, According to Prof. KM Varma, there were three types of works which preceded the Natyashastra that we know: (1) Sutra – a work on Natya; (2) Bhashya – a commentary on it; and (3) Anuvamsya – a collection of verses , from which Bharata often quotes. He also points out that Bharata mentions in the Samgraha (the table of contents to Natyashastra) that the subjects to be discussed in the text have reference to what is stated in the Sutra and the Bhashya. That leads to the conclusion that a comprehensive theory of Natya existed much before the time of Bharata; and that he incorporated some of that into his work – the Natyashastra. Further, Panini also suggests there were texts on Natya even much prior to Natyashastra. 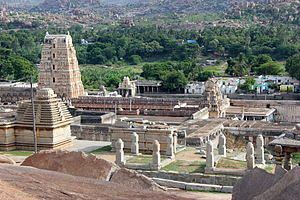 Panini (Ca.500 BCE) the great Grammarian, in his Astadhyayi (4.3.110-11), mentions two ancient Schools – of Krsava and Silalin – that were in existence during his time –Parasarya Silalibhyam bhikshu nata-sutreyoh (4.3.110); karmanda krushas shvadinihi (4.3.111). It appears that Parasara, Silalin, karmanda and Krsava were the authors of Bhikshu Sutras and Nata Sutras. Of these, Silalin and Krsava were said to have prepared the Sutras (codes) for the Nata (actors or dancers). At times, Natyashastra refers to the performers (Nata) as Sailalaka -s. The assumption is that the Silalin-school, at one time, might have been a prominent theatrical tradition. Some scholars opine that the Nata-sutras of Silalin (coming under the Amnaya tradition) might have influenced the preliminary part (Purvanga) of the Natyashastra, with its elements of worship (Puja). However, in the preface to his great work Natya-shastra of Bharatamuni (Volume I, Second Edition, 1956) Pundit M. Ramakrishna Kavi mentions that in the Natyavarga of Amara-kosha (2.8.1419-20) there is reference to three schools of Nata-sutra-kara: Silalin; Krasava; and, Bharata. It appears that in the later times, the former two Schools (Silali and Krasava) , which flourished earlier to Bharata , went out of existence or merged with the School of Bharata; and, nothing much has come down to us about these older Schools. And, it is also said, the Bharata himself was preceded by Adi-Bharata, the originator and Vriddha (senior) Bharata. And, all the actors, of whatever earlier Schools, later came to be known as Bharata-s.
All these suggest that there were texts on Natya even before the time of Bharata; and, by his time Natya was already a well established Art. The Natyasastra, that we know, is dated around about the second century BCE . The scholars surmise that the text was in circulation for a very long period of time, in its oral form; and, it was reduced to writing several centuries after it was articulated. Until then, the text was preserved and transmitted in oral form. The written text facilitated its reach to different parts of the country; and, to the neighboring states as well. In the process, each region, where the text became popular, produced its own version of Natyasastra; in its own script. For instance, Natyasastra spread to Nepal, Almora to Ujjain, Darbhanga and also to the Southern states. The earliest known manuscripts which come from Nepal were in Newari script. The text also became available in many other scripts – Devanagari, Grantha, and several regional languages. It became rather difficult for the later-day scholars, to evolve criteria for determining the authenticity and purity of the text, particularly with grammatical mistakes and scribes errors that crept in during the protracted process of transliterations. Therefore, written texts as they have come down to us through manuscripts , merely represent the residual record or an approximation to the original; but, not the exact communication of the oral tradition that originated from Bharata. It is the general contention that the text of the Natyashastra, as it is available today, was not written at one point of time. Its form, as it has come down to us, includes several additions and alterations. It is also said; many views presented in Natya-Shastra might possibly have been adopted from the works of other scholars. That seems quite likely; because, there are frequent references to other writers and other views; there are repetitions; there are contradictory passages; there are technical terms, which are not supported by the tradition. And, in regard to Dance, in particular, the Chapter Four (Tandava-lakshanam) is the most important portion, as it details the dance-techniques. The editor of Nāṭya Śāstra, Sri. Ramaswami Sastri, however remarks that ‘this section of Nāṭya Śāstra dealing with Karaṇas, being of a highly technical nature, was less understood and was rendered more difficult by numerous errors committed by the scribes as well as by the omissions of large portions in the manuscripts’. Though such additions, deletions and alterations have not been pinpointed precisely, some scholars, particularly Prof. KM Varma, surmise that the verses of a long portion of the Fourth Chapter beginning from Sloka number 274 and ending with the chapter seem to be interpolated. These verses do not also fit into the context. Abhinavagupta also admits the possibility of their insertions. Further, Prof. KM Varma also mentions that the portion from the Samanya-abhinaya chapter (Chapter 22) to the beginning of the chapter on Siddhi; as also the portions beginning after the chapter on Avanaddha to the end of the present text, are the later additions. And, by about the tenth century, two recessions of the Nāṭyaśāstra were in circulation. One was the longer version; and, the other the shorter. There have been long drawn out debates arguing which of the two is the authentic version. Abhinavagupta in his commentary of the Nāṭyaśāstra used the shorter recession as the basis of his work; while some authors of the medieval period like Raja Bhoja used the longer version. However, Pandit Ramakrishna Kavi, who examined as many as about forty Manuscripts of the text, opined that the longer recession seemed to be ancient, although it contains some interpolation. But, in any case, now, both the versions are treated as ‘authentic’; and, are used depending upon the choice of the commentator. Natyashastra was mainly concerned with successful play-production. And, the role of Music and Dance, in conjunction with other components, was primarily to beautify and to heighten the dramatic effects of the acts and scenes in the play. These were treated as enchanting artistic devices that articulate the moods of various theatrical situations in the Drama. The Dance, at that stage, was an ancillary part (Anga) or one of the ingredients that lent elegance and grace to theatrical performance. That is to say; though Music and Dance were very essential to Drama, neither of the two, at that stage, was considered as an independent Art-form. Further, for a considerable length of time, say up to the middle period, both music and dance were covered by a single term Samgita. The term Samgita in the early Indian context meant a composite art-form comprising Gita (vocal singing), Vadya (instrumental accompaniments) and Nrtta the limb movement or dance (Gitam, Vadyam, Nrttam Samgita-mucchyate). The third component of Samgita, viz., Nrtta, involved the use of other two components (Gita and Vadya). Thus, the term Samgita combined in itself all the different phases of music, including dance. For Dance (Nrtta), just as in the case of vocal (Gita) and instrumental (Vadya) music, the rhythm (Laya) is very vital. The Dance too was regarded as a kind of music. This is analogous to human body where its different limbs function in harmony with the body’s rhythm. It was said; all the three elements should, ideally, coordinate and perform harmoniously – supporting and strengthening each other with great relish. And, the three Kutapa-s, in combination should suggest a seamless movement like a circle of fire (Alaata chakra); and, should brighten (Ujjvalayati) the stage. Thus, till about the middle periods, Dance was regarded as a supporting decorative factor; but, not an independent Art form. Coming back to Natyashastra, the Dance that it deals in fair detail is, indeed, Nrtta, the pure dance movements – with its Tandava and Sukumara variations – that carry no particular meaning. The Nrtta was described as pure dancing or limb movements (aṅgavikṣepa), not associated with any particular emotion, Bhava. And, it was performed during the preliminaries (Purvaranga), before the commencement of the play proper. The Nrtta was meant as a praise offering (Deva-stuti) to the gods. And, later Bharata did try to combine the pure dance movements of Nrtta (involving poses, gestures, foot-work etc.) with Abhinaya (lit., to bring near, to present before the eyes), to create an expressive dance-form that was adorned with elegant, evocative and graceful body-movements, performed in unison with attractive rhythm and enthralling music, in order to effectively interpret and illustrate the lyrics of a song; and, also to depict the emotional content of a dramatic sequence. But, for some reason, Bharata did not see the need to assign a name or a title to this newly created amalgam of Nrtta and Abhinaya. (This art-form in the later period came to be celebrated as Nrtya). Even at this stage, Dance was not an independent art-form; and, it continued to be treated as one of the beautifying factors of the Drama. But, unfortunately, that work of Kohala did not survive for long. And, by the time of Abhinavagupta (10-11th century), it was totally lost. When it comes to the texts concerning dance there are certain issues or limiting factors. There is reason to believe that many works on dancing were written during the period following that of Bharata. But most of those works were lost. For instance; the ancient writers such as Dattila or Dantila (perhaps belonging to the period just after that of Bharata) and Matanga or Matanga Muni (sixth or the seventh century) who wrote authoritatively on Music, it appears, had also commented on Dance. But again, the verses pertaining to Dance in their works, have not come down to us entirely. Some of those verses have survived as fragments quoted by the commentators of the later periods; say , for example, the references pertaining to Taala and Dance from the Brihaddeshi of Matanga . Similarly, between the time of Natyashastra (Ca. 200 BCE) and the Abhinavabharati of Abhinavagupta (10-11th century), several commentaries were said to have been produced on the subject of Drama, Music, Dance and related subjects. Some of such ancient authorities mentioned by Abhinavagupta are: Kohala, Nandi, Rahula, Dattila, Narada, Matanga, Shandilya, Kirtidhara, Matrigupta, Udbhata, Sri Sanuka, Lottata, Bhattanayaka and his Guru Bhatta Tauta and others. But, sadly the works of those Masters are lost to us; and, they survive in fragments as cited by the later authors. Abhinavagupta, states that much of the older traditions had faded out of practice. And he says that one of the reasons, which prompted him to write his work, was to save the tradition from further erosion. There are not many ancient texts that are particularly devoted to discussions on Dance, its theories and techniques. In the earlier texts on Dance, the techniques of Dancing are seldom discussed in isolation. It invariably is discussed with music and literature (Kavya). Similarly, the treatise on sculpture (Shilpa) , Drama(Natya), music (Gitam) and painting (Chitra) , do devote a portion , either to Dance itself or to discuss certain technical elements of these art forms in terms of the technique of Dance (Nrtya or Nrtta). For instance; the treatises on painting discuss the Rasa-drsti in terms of the glances (Drsti) of the Natyashastra; and, the treatises on sculpture enumerate in great detail the Nrtta-murti (dancing aspects) of the various gods and goddesses(prathima-lakshanam) , and discuss the symbolism of the hasta -mudra in terms of the hasta-abhinaya of the Natyashastra. The Vishnudharmottara emphasizes the inter relation between the various art forms. Sage Markandeya instructs : One who does not know the laws of painting (Chitra) can never understand the laws of image-making (Shilpa); and, it is difficult to understand the laws of painting (Chitra) without any knowledge of the technique of dancing (Nrtya); and, that, in turn, is difficult to understand without a thorough knowledge of the laws of instrumental music (vadya); But, the laws of instrumental music cannot be learnt without a deep knowledge of the art of vocal music (gana). (1) Visnudharmottara Purana (Ca. fifth or sixth century) a text encyclopedic in nature. Apart from painting, image-making, Dancing and dramaturgy, it also deals with varied subjects such as astronomy, astrology, politics, war strategies, treatment of diseases etc. The text, which is divided into three khandas (parts), has in all 570 Adhyayas (chapters). It deals with dance, in its third segment – chapters twenty to thirty-four. The author follows the Natyasastra in describing the abstract dance form, Nrtta; and, in defining its function as one of beautifying a dramatic presentation. The focus of the text is on Nrtta, defining its vital elements such as Karanas, Cari etc., required in dancing. In addition, the author briefly touches upon the Pindibandhas or group dances mentioned by Bharata; and, goes on to describe Vrtti, Pravrtti and Siddhi; that is – the style, the means of application and the nature of competence. (2) The Abhinavabharati of Abhinavagupta (11th century) though famed as a commentary on Bharata’s Natyasastra, is, for all purposes, an independent treatise on aesthetics in Indian dance, music, poetry, poetics (alaṅkāra-śhāstra), art , Tantra, Pratyabhijnana School of Shaiva Siddanta etc. Abhinavabharati is considered a landmark work; and is regarded important for the study of Natyasastra. Abhinavabharati is the oldest commentary available on Natyasastra. All the other previous commentaries are now totally lost. The fact such commentaries once existed came to light only because Abhinavagupta referred to them in his work; and, discussed their views. Further, Abhinavagupta also brought to light and breathed life into ancient and forgotten scholarship of fine rhetoricians Bhamaha, Dandin and Rajashekhara. Abhinavagupta also drew upon the later authors to explain the application of the rules and principles of Dance. As Prof. Mandakranta Bose observes : One of the most illuminating features of Abhinavagupta’s work is his practice of citing and drawing upon the older authorities critically , presenting their views to elucidate Bharata’s views ; and , often rejecting their views , putting forth his own observations to provide evidence to the contrary. Abhinavagupta, thus, not only expands on Bharata’s cryptic statements and concepts; but also interprets them in the light of his own experience and knowledge, in the context of the contemporary practices. And, therefore, the importance of Abhinavagupta’s work can hardly be overstated. He also discusses, in detail, the Rasa-sutra of Bharata in the light of theories Dhvani (aesthetic suggestion) and Abhivyakti (expression). And, Dance is one of the subjects that Abhinavabharati deals with. As regards Dance, Abhinavabharati is particularly known for the explanations it offers on Angikabhinaya and Karanas. The later authors and commentators followed the lead given by Abhinavagupta. (4) The Srngaraprakasa of Raja Bhoja (10-11th century) is again a work; spread over thirty-six chapters, which deal principally with poetics (Alamkara shastra) and dramaturgy. In so far as Dance is concerned, it is relevant for the discussion carried out in its Eleventh Chapter on minor types of plays (Uparupakas) or musical Dance-dramas. (5) The Natya-darpana of Ramacandra and Gunacandra (twelfth century) is also a treatise, having four chapters, devoted mainly to dramaturgy; discussing characteristics of Drama. The text is useful to Dance, because in its third chapter while discussing Anigikabhinaya, it lists the names of the movements of the different parts of the body, as well as extended sequences and compositions. (6) Another text of great interest from the twelfth century is the Manasollasa (also called Abhjilashitarta Chintamani) ascribed to the Kalyana Chalukya King Someshwara III (1127-1139 AD). It is an encyclopedic work, divided into one hundred chapters, clustered under five sections, covering a wide variety of subjects, ranging from the means of acquiring a kingdom, methods of establishing it, to medicine, magic, veterinary science, valuation of precious stones, fortifications, painting , art, games , amusements , culinary art and so on . As regards Dance, the Manasollasa deals with the subject in the sixteenth chapter, having in 457 verses, titled Nrtya-vinoda, coming under the Fourth Section of the text – the Vinoda vimsathi- dealing with types of amusements. Manasollasa is also the earliest extant work having a thorough and sustained discussion on dancing. It is also the earliest work, which laid emphasis on the Desi aspect for which later writers on this subject are indebted. Another important contribution of Nrtya Vinoda is that it serves as a source material for reconstruction of the dance styles that were prevalent in medieval India. For these and other reasons, the Nrtya Vinoda of Manasollasa, occupies a significant place in the body of dance literature. Someshwara introduces the subject of dancing by saying that dances should be performed at every festive occasion, to celebrate conquests, success in competitions and examinations as well as occasions of joy, passion, pleasure and renouncement. He names six varieties of dancing and six types of Nartakas. The term Nartaka, here, stands for performers in general; and, includes Nartaki (danseuse), Nata (actor), Nartaka (dancer), Vaitalika (bard), Carana (wandering performer) and kollatika (acrobat). Manasollasa is also significant to the theory of Dance, because it classified the whole of dancing into two major classes: the Marga (that which adheres to codified rules) and Desi (types of unregulated dance forms with their regional variations). Manasollasa also introduced four-fold categories of dance forms: Nrtya, Lasya, Marga and Desi. At another place, Someshwara uses the term Nartana to denote Dancing, in general, covering six types: Natya (dance), Lasya (delicate), Tandava (vigorous), Visama (acrobatic), Vikata (comical) and Laghu (light and graceful). In regard to Dance-movements, Someshwara classifies them into six Angas, eight Upangas and six Pratyangas. The last mentioned sub-division viz. Pratyanga is an introduction made by Someshwara into Natya terminology; the Natyashastra had not mentioned this minor sub-category. The other important contribution of Someshwara is the introduction of eighteen Desi karanas, (dance poses) that were not mentioned in other texts. (7) A work from this period, but not dated with certainty, which deal with drama is the Nataka-laksana-ratna-kosa of Sagaranandin. The text, as the name suggests, discusses, in detail, the nature and characteristics of Nataka as well as other varieties of drama. This work is of interest to Dance insofar as it lists and describes ten types of Lasyanga that are used in the Lasya variety of dance. (8) The Bhavaprakasana of Saradatanaya (1175 -1250 A.D.) containing ten Adhikaras or chapters, is a compendium of poetics and dramaturgy based on the critical works written right from the period of Natyashastra. Its relevance to dance is in its discussions on glances that express Bhavas, as given at the end of the fifth chapter. And, the tenth and final chapter explains the distinction between Nrtta and Nrtya; and, between Marga and Desi. He contradicts Dhananjaya; and, asserts that Nrtta, the pure dance, is rooted in Rasa (Nrttam rasa-ahrayam). Saradatanaya’s definition meant that Nrtta not only beautifies a presentation, but is also capable of generating Rasa. This, during his time, was, indeed, a novel view. (9) The Sangita Samayasara of Parsvadeva (a Jain Acharya of 12th or early 13thcentury) is an important work, which is devoted to musicology. It is its seventh chapter that is of interest to Dance. It is not until the Sangita Samayasara that we find any description of a complete dance. The Sangita Samayasara, though it deals, mainly, with Music, is of great relevance to Dance. The Seventh Chapter is devoted entirely to Desi dance (referred to as Nrtta); its definition; and, the Angas or body movements (Angika), the features of Desi dances (Desiya-Angani). This text not only describes specific Nrtta dance pieces (such as: Perana, Pekkhana, Gundali and Dandarasa), but also adds a number of new movements of the Cari, the Sthanas and the Karanas of the Desi variety, all of which involving complicated leaping movements. Here, Parsvadeva describes the utplatti-karanas, needed for the Desi dances; eleven Desi karanas with different Desi-sthanas; and, five Bhramaris. Towards the end of the Seventh Chapter, Parsvadeva describes the requirements of a good dancer; her physical appearance; and, the way she should be dressed etc. The Sarangadeva’s Sangita-ratnakara (first half of 13th century) is one of the most influential works on music and dance. The Sangita-ratnakara is a great compilation, not an original work, which ably brings together various strands of the past music traditions found in earlier works like Nāţyashastra, Dattilam, Bŗhaddēśī, and Sarasvatī-hŗdayālańkāra-hāra. It is greatly influenced by Abhinavagupta’s Abhinavabharati. But for Samgita-ratnakara, it might have been more difficult to understand Natyasastra, Brhaddesi and other ancient texts. But, while dealing with Desi class of Dance, Sarangadeva follows Manasollasa of Someshwara. The text of Sangita-ratnakara has 1678 verses spread over seven chapters (Saptaadhyayi) covering the aspects of Gita, Vadya and Nrtta: Svaragat-adhyaya; Ragavivek-adhyaya; Prakirnaka-adhyaya; Prabandh-adhyaya, Taala-adhyaya; Vadya-adhyaya and Nartana-adhyaya. The first six chapters deal with various facets of music and music-instruments; and, the last chapter deals with Dance. Sangita-ratnakara’s contribution to dance is very significant. Chapter Seven– Nartana: The seventh and the last chapter, is in two parts; the first one deals with Nartana. Sarangadeva, following Someshwara, uses a common term Nartana to denote the arts of Nŗtta, Nŗtya and Nāţya. In describing the Marga tradition of Dance, Sarangadeva follows Natyashastra. As regards the Desi class of Dance he improves upon the explanations offered in Manasollasa of King Someshwara and Sangita Samayasara of Parsvadeva. According to Sarangadeva, the Nrtya covers rhythmic limb movements (Nrtta) as also eloquent gestures expressing emotions through Abhinaya. It is a harmonious combination of facial expressions, various glances, poses and meaningful movements of the hands, fingers and feet. Nrtyam, the dance, delightfully brings together and presents in a very highly expressive, attractive visual and auditory form, the import of the lyrics (sahitya), the nuances of its emotional content to the accompaniment of soulful music and rhythmic patterns (tala-laya). Although he follows Bharata in describing the movements of the body, he differs from Bharata in dividing the limbs into three categories, Anga, Upanga and Pratyanga. He also differs from Natyashastra which identifies Tandava as Shiva’s dance and Sukumara (Lasya) as Parvati’s. According to Sarangadeva, Tandava requires Uddhata (forceful) and Lasya requires Lalita (delicate) movements. Sarangadeva’s description of Cari, Sthana, Karana and Angaharas of the Marga type are the same as in the Natyashastra. But the Desi Caris, Sthanas and Utputi–karanas are according to Manasollasa of Someshwara. Sarangadeva explains the importance of aesthetic beauty; and also lays down the rules of exercise. He also describes the qualities and faults of a performer (including a description of her make-up and costume); and, those of the teacher and the group of supporting performers. Then he describes the sequential process of a performance, including the musical accompaniment, in the pure mode or suddha-paddhati. (11) The Sangita Upanishad Saroddhara is a treatise on music and dance written in the fourteenth century (1350 A.D.) by the Jaina writer Sudhakalasa. The work is in six chapters, the first four of which are on Gita (vocal music), Vadya (musical instruments) and on Taala (rhythm). The fifth and the sixth chapters are related to dancing. The term he uses for dance is Nrtya. His understanding of the terms Nrtta, Nrtya and Natya varied from that of his predecessors. According to him, Nrtta is danced by men, Nrtya by women, while Natya is Nataka, performed by both men and women. And, his treatment of the movements of the feet (pada-karmas) and the postures (Sthanas and Sthanakas) differs from that of other texts. According to him, Sthanas are postures meant for women; while, Sthanakas are postures meant for men. Karanas, according to Sudhakalasa, are components of Lasyangas and Nrtya. Obviously, he was recording the contemporary practice, without specific reference to the earlier texts and traditions. (12) The Sangitacandra is a work containing 2168 verses by Suklapandita, also known as Vipradasa (Ca. fourteenth century). He explains the procedures of the Purvaranga; and classifies its dance Nrtta into three categories: Visama (heavy), Vikata (deviated) and Laghu (light). Such classification of Nrtta and such terms to describe Nrtta had not been used earlier by any author. He then, initially, divides Nrtya, the dance, into two classes: Marga-nrtya which expresses Rasa; and, Natya-nrtya, which expresses Bhava. And, then, brings in the third variety of Nrtya, the Desiya Nrtya, the regional types. Thereafter, he divides each of the three varieties of Nrtya into Tandava and Lasya. Again, Vipradasa‘s understanding of the terms and concepts of Dance and their treatment; and, emphasis on the Desi dances, reflect the contemporary practices of the medieval period. (13) A major work of the medieval period is the Sangita-damodara by Subhankara (ca. Fifteenth century). Although the Sangita-damodara is principally a work on music and dance, it includes substantial discussions on drama as well. Of its Five Chapters, the Fourth one relates to Dance. Here, dancing is discussed under two broad heads: Angahara (Angaviksepa, movements of the body) and Nrtya (the dance proper). Under Angahara, the author includes Angikabhinaya, as related to Drama, because it means acting by using the movements of the limbs. As regards Nrtya, he treats it, mostly, as Desi Nrtya, the regional dances. Nrtya is divided into two types: Tandava, the Purusha-nrtya, danced by men; and, Lasya, the Stri-nrtya, danced by women. Under Natya, Subhankara includes twenty-seven major type of Dramas (Rupaka) and minor types of Drama (Uparupaka). He classifies them under the heading Nrtye naksatramala, the garland of stars in Nrtya. Thus, the concept of dance in its male and female forms had crept in. And, the Dance-drama, based in music, was treated as a form of Nrtya. The Nrtya was generally understood as Desi Nrtya. (14) Another important work from this period is the Nrtyadhyaya of Asokamalla (Ca. fourteenth century). The Nrtyadhyaya consisting of 1611 verses follows the Desi tradition of dance, as in Sangita-ratnakara and the Nrtta-ratna-vali. The text describes, in detail, the hand gestures followed by the movements of the major and minor limbs, that is, Anga, Upanga and Pratyanga. It also describes Vicitra-abhinaya (various ways of acting), dividing it into elements of Bhava-abhinaya (expressions displaying emotions); and, Indriya-abhinaya (gestures through use of limbs), resembling the Samanya-abhinaya and Citra-abhinaya, as in Natyashastra. The author also describes one hundred and eight Karanas of Bharata. The text ends with descriptions of Kalasas, generally understood as dance movements with which a performance concludes. (15) The Rasakaumudi of Srlkantha (a contemporary and student of Pundarika Vitthala – 16th-17th century) is again a work of general nature that deals with vocal music (Gana), instrumental music (Vadya), Dance (Natya) , Drama (Rupaka) and aesthetics (Rasa) etc. The text is of interest to Dance, mainly because of the contemporary scene of dancing it portrays. It mentions ten divisions of Natya as: Natya, Nrtya, Nrtta, Tandava, Lasya, Visama, Vikata, Laghu, Perani and Gaundali. But, he calls only the first variety Natya as being authentic. But, the main contribution of Rasakaumudi is the introduction of the concept of ‘Prana’ or the essential elements of the performance; the summation of what a dancer should aim at, while performing. The ten Pranas listed are : the line (Rekha); the steadiness (Sthirata); the swiftness (Vega); the pirouettes (Bhramari), the glance (Dristi); the desirous smile (Smita); the pleasing appearance (Priti); the intellect (Medha); the speech (Vachya); and , the song (Gitam) – RK. 5. 162. (16) The Sangltadarpana of Chatura Damodara (a poet at Jahangir’s court, which places him in the seventeenth century) is, again, a work on music and dance. Its seventh, the final chapter, is related to dancing; and, it generally follows Nartananirnaya of Pundarika Vittala. It also adopts Nartana as the general name for dancing; and, mentions Nrtta, Nrtya, Natya, Tandava and Lasya as the types of Nartana. It then divides Nrtya into five sub-divisions: Visama, Vikata, Laghu, Perani and Gaundali, all of which are Desi forms. There is greater emphasis on Desi forms, in its discussions. And, the authors of this period followed and adopted the views of the Nartananirnaya; and, there was a steady drift taking the discussions away from the concepts and terminologies of the Natyashastra. (18) The Sangita-makaranda of Vedasuri (early seventeenth century) follows Nartananirnaya of Pundarika Vitthala. The new information it provides is with regard to the Gatis. He treats each Gati like a dance sequence; and, describes each Gati with all its components of movements. For instance; while describing the Marga-gati, the author gives all the movements necessary for its presentation, such as the appropriate Karana, Sthanas, Cari, the hand-gestures, the head movements and glances. He seems to have been interested mainly in the structure of dance compositions as combinations of smaller movements. He describes these movements step by step; and, includes with each movement the appropriate rhythm and tempo that it should go with. (1) The date of the Abhimaya Darpana of Nandikeshvara is rather uncertain. The scholars tend to place it in or close to the medieval period; because, it divides dance into three branches: Natya, Nrtta and Nrtya. But, such distinctions did not come about until the time of Sangita-ratnakara (13th century). Also, the Abhinaya Darpana views Tandava and Lasya as forms of masculine and feminine dancing, which again was an approach adopted during the medieval times. Abhinaya Darpana deals predominantly with the Angikabhinaya (body movements) of the Nrtta class; and, is a text that is used extensively by the Bharatanatya dancers. It describes Angikabhinaya, composed by the combination of the movements of Angas (major limbs- the head, neck, torso and the waist), Upangas (minor limbs – the eyes, the eyebrows, the nose, the lower lip, the cheeks and the chin), Pratayangas (neck, stomach, thighs, knees back and shoulders, etc) and the expressions on the countenance. When the Anga moves, Pratyanga and Upanga also move accordingly. The text also specifies how such movements and expressions should be put to use in a dance sequence. According to the text, the perfect posture that is, Anga-sausthava, which helps in balancing the inter relationship between the body and the mind, is the central component for dance; and, is most important for ease in the execution and carriage. For instance; the Anga-sausthava awareness demands that the performer hold her head steady; look straight ahead with a level gaze; with shoulders pushed back (not raised artificially); and, to open out the chest so that back is erect. The arms are spread out parallel to the ground; and, the stomach with the pelvic bone is pushed in. The techniques of dance, body movements, postures etc. described in this text, is a part of the curriculum of the present-day performing arts. The emphasis on Angikabhinaya in Nrtta requires the dancer to be in a fit physical condition, in order to be able to execute all the dance movements with grace and agility, especially during the sparkling Nrtta items according to the Laya (tempo) and Taala (beat). (2) Closely following upon the Sangita-ratnakara, the Nrtta-ratnavali by Jaya Senapati was written in the thirteenth century A.D. This is the only work of that period, which deals exclusively with dance, in such detail. Nrtta-ratnavali devotes all its eight chapters to dance; and, discusses vocal or instrumental music only in the context of dance. The first four chapters of the text discuss the Marga tradition, following the Natyashastra; and, the other four discuss the Desi. The Marga, according to Jaya Senapati, is that which is faithful to the tradition of Bharata; and, is precise and systematic. While dealing with the Marga, although he broadly follows the Bharata, Jaya Senapati provides specific details of the execution of the Karanas and Caris. He also quotes the views of earlier writers, in order to trace the evolution of Dance and its forms. The First Chapter describes the four modes of Abhinaya, i.e., Angika, Vachika, Aharya and Sattvika; as also the six forms of dancing – Nrtta, Nrtya, Marga, Desi, Tandava and Lasya. The Chapter Two deals with Abhinaya, describing in detail the movements of the major and minor limbs: six Angas, six Pratyangas and six Upangas. The Third Chapter is on Caris (movements of one leg); Sthanas (postures); Nyaya (rules of performance); Vyayama (exercise); Sausthava (grace); more Sthanas and Mandalas (combinations of Caris). The Fourth Chapter describes Karanas (dance-units) and Angaharas (sequences of dance-units); and, ends with Recakas (extending movements of the neck, the hands, the waist and the feet) mainly following their descriptions as given in the Natyasastra. The second half of the text is devoted to the Desi tradition. The more significant contribution of Nrttaratnavali is in its detailed descriptions of the Desi Karanas, Angaharas and Desi Caris. And, of particular interest is its enumeration and description of Desi dance pieces. The Fifth Chapter defines the term Desi; and, goes on to describe the Desi sthanas, Utpati-karanas (Desi karanas) and Bhramaris (spin and turns). The sixth chapter deals with movements of the feet, Desi Caris. Jaya Senapati then describes forty-six varieties of Desi Lasyangas, which include the Desi Angas, following the Sangita-samaya-sara. The Gatis or gaits are described next. The Seventh Chapter mainly deals with individual Desi dance pieces, Desi-nrtta. These include Perani, Pekkhana, Suda, Rasaka, Carcari, Natyarasaka, Sivapriya, Cintu, Kanduka, Bhandika, Ghatisani, Carana, Bahurupa, Kollata and Gaundali. The Eighth and Final Chapter , provides information regarding presentation in general, the recital, the appropriate time for its presentation, the arrival of the chief guest and the welcome accorded the king, other members of the audience, the qualities required in a dancer, her costume, the orchestra, the sitting arrangements, the entrance of a dancer, the use of three curtains on the stage and their removal. The Chapter ends with advice on honoring the dancer, the musicians and the poet. (3) The Nrtya-ratna-kosa of Maharana Kumbha (a scholar king of the fifteenth century), is part of a larger work, the Sangita-raja, which closely follows the Sangita-ratnakara of Sarangadeva. It is the Fourth Chapter of Sangita-raja; and, deals with Nrtya. The Nrtya-ratna-kosa is divided into four ullasas or parts; each consisting of four pariksanas or sections. It is mostly a compilation of the concepts, definitions, theories and practices concerning Dance – both Marga and Desi– culled out from earlier texts, particularly from Sangita-ratnakara. While describing various types of dance-movements, the emphasis is more on the Desi types. The first section of the first part describes the origin of the theories of Natya (shastra); the rules of building the performance-hall; the qualifications of the person presiding; and, of the audience. It also offers definitions of certain fundamental terms. Raja Kumbha defines the terms Nrtta, Nrtya and Natya. According to him, Nrtta is made up of combination of Karanas and Angaharas (Karanam angaharani caiva Nrttam); Nrtya is Rasa (Nrtya sabdena ca Rasam punaha); and, Natya is Abhinaya (Natyena abhinayam). The Nrtya is classified as Marga; and, Nrtta as Desi. The Pindibandhas or group dances, performed by sixteen female dancers as part of the preliminaries are included under Nrtta. The rest of the verses are devoted to Angikabhinaya or the movements of the body. The text discusses, in detail, about limb movements like Pratyangas, Upangas etc. ; and, also about Aharya-bhinaya or costume, make-up and stage properties. There are also descriptions of Marga and Desi Caris, Shanakas or postures, meant for men and women, for sitting and reclining. Similarly, the Karanas are classified as Shuddha karanas (pure) of the Marga class; and, as Desi Karanas. That is followed description of four Vrttis or styles and six kalasas (dance movements with which a performance concludes), with its twenty-two sub-varieties. Towards the end, it enumerates the qualities and faults of a performer. It discusses make-up; different schools of performing artists; their qualities and faults; the Shuddha-paddhati or the pure way of presentation; and, states the ways of imparting instructions to performers. (4) The Nartana-nirnaya of Pundarika Vitthala (16th-17th centuries) is a very significant work in the history of Indian Dancing. Till about the time of Raja Kumbha, the Dance was discussed mainly in terms of Marga and Desi. Pundarika Vitthala introduces a novel feature (hitherto not tried by anyone else), which is the principles of Bhaddha (structured) and Anibhaddha (neither bound nor structured) for stratifying the dance forms into two separate classes. Even though the later texts on dancing generally followed the Sangita-ratnakara, they did take into consideration Nartana-nirnaya’s classification of Bhaddha and Anibaddha, as a part of their conceptual framework. His classification of Dance forms into Baddha and Anibaddha was a significant theoretical development. The Nartana-nirnaya was written in the sixteenth century, while Pundarika Vitthala (or Pandari Vitthala) was in the service of the Mughal Court. It comes about five hundred years after Sangitaratnakara. This period between these two texts was marked by several interesting and rather radical changes and transformations that were taking place in India , in the field of Arts. The Nartananirnaya was composed in an altogether different ambiance. The courts of Raja Man Singh, Raja Madhav Singh and Akbar provided the forum for interaction between the North and South Indian traditions on one hand; and between Indian and Persian practices on the other. This was an interesting period when diverse streams of Art came together. The subject matter central to Nartana-nirnaya is dancing. The technical details of dance as detailed in the Nartananirnaya are an important source for reconstructing the history of Indian music and dance during the middle period. This was also the time when the old practices were fading out and new concepts were stepping in. For instance, by the time of Pundarika Vittala, the 108 Karanas were reduced to sixteen. At the same time , dance formats such as Jakkini, Raasa nrtya were finding place among traditional type of Dances. In his work, Pundarika Vitthala does not confine only to the traditional dances of India and Persia; but, he also describes the various dance traditions of the different regions of India that were practiced during his time. The information he provides on regional dance forms is quite specific, in the sense that he points to the part/s of India from where the particular style originated, the language of the accompanying songs and the modes its presentation. The Nartana-nirnaya is, therefore, an invaluable treasure house on the state of regional dance forms as they existed in the sixteenth century India. Thus, Nartana-nirnaya serves as a bridge between the older and present-day traditions of classical Indian dancing. The chapter titled Nartana-prakarana, dealing with Nrtta and Nartana, is relevant to Dancing. The Nrtta deals with the abstract aesthetic movements and configuration of various body parts. And, Nartana is about the representational art of dancing, giving expression to emotions through Abhinaya. The Nartana employs the Nrtta as a communicative instrument to give a form to its expressions. Another chapter, Nrttadhikarana is virtually about the Grammar of Dance. It describes the Nrtta element of Dancing with reference to the special configuration of the static and moving elements of the Dance, such as: Sthanaka, Karana, Angahara, Cari, Hasta, Angri, Recaka, Vartana etc. Then the text goes on to enumerate the items of the dance recital: entry of the dancer (Mukhacali, including Pushpanjali); Nanadi Slokas invoking the blessings of the gods; the kinds of Urupa, Dhavada, Kvada, Laga and Bhramari. It also mentions the dance forms originating from various regions: Sabda, Svarabhinaya, Svaramantha, Gita, Cindu, Dharu, Dhruvapada, Jakkadi and Raasa. Some of these are classified under Bandhanrtta, the group dances with complex configurations and formations. These are also of the Anibaddha type, the graceful, simple dances, not restricted by the regimen of the rules etc. All the texts enumerated above deal with the subject of dance in some detail; exclusively or along with music, drama and poetics. When you take an over view, you will notice that three texts stand out as landmarks, defining the nature and treatment of dance in the corresponding period. These three are: Natyashastra of Bharata (Ca. 200 BCE); Abhinavabharati of Abhinavagupta (10-11th century) and Sangita-ratnakara of Sarangadeva (13th century). Natyashastra is, of course, the seminal text that not only enunciated the principles of Dancing, but also brought them into practice. Though the emphasis of Natyashastra was on the production and presentation of the play, it successfully brought together the arts of poetry, music, dance and other decorative elements, all of which contributed to the elegance of the theater. The Dance that Bharata specifically refers to is Nrtta, pure dance, which was primarily performed before the commencement of the play proper (Purvaranga) as a prayer offered to gods. The elements of the Nrtta were also brought into Drama by fusing it with Abhinnaya. Though the resultant art-form was not assigned a name by Bharata, its essence was very much a part of the theatrical performance. And, this delightful art form came to be celebrated as Nrtya, during the later periods. And, in its early stages, Dance was not considered as an independent Art-form. Several commentaries on the Natyashastra that were produced between the period of Bharata and Abhinavagupta are lost. And, the Abhinavabhatarati is the earliest available commentary on the Natyashastra; and, is, therefore, highly valuable. Abhinavagupta followed Bharata, in general; and, adhered to his terminologies. For instance, while discussing on Dance, Abhinava consistently uses the term Nrtta; and, avoids the term Nrtya (perhaps because it does not appear in Natyashastra). During his time, dance, music and dramatics were continued to be treated as integral to each other, as in the times of Natyashastra. Yet; Abhinavagupta, brought in fresh perspective to the Natyashastra; and, interpreted it in the light of his own experience and knowledge. His commentary, therefore, presents the dynamic and evolving state of the art of his time, rather than a description of Dancing as was frozen in Bharata’s time. As it has often been said; Abhinavabharati is a bridge between the world of the ancient and forgotten wisdom and the scholarship of the succeeding generations. Abhinavagupta’s influence has been profound and pervasive. Succeeding generations of writers on Natya were guided by his concepts and theories of Rasa, Bhava, aesthetics and dramaturgy. No writer or commentator of a later period could afford to ignore Abhinavagupta. The commentaries written during the period following that of Abhinavagupta continued to employ the terminologies of the Natyashastra. But, the treatment of its basic terms such as, Nrtta, Natya, Tandava and Lasya was highly inconsistent. These terms were interpreted variously, in any number of ways, depending upon the understanding and disposition of the author; as also according to contemporary usage of those terms and the application of their concepts. Standardisation was conspicuous by its absence. A significant development during this period was assigning greater importance to the regional types of Dances. Though based on the Natyashastra, these texts recognized and paid greater attention to the dance forms that were popular among the people of different geographic regions and of different cultural groups. In the process, the concepts of Marga, which signified the chaste, traditional form of Dance as per the rules of Natyashastra, came to be distinguished from the regional, popular, free flowing types of Dance, termed as Desi. By about the 13th century, dance came into its own; and, was no longer an ancillary to drama, as was the case during the time of Natyashastra. Yet; the Dance, in this period, continued to be discussed along with the main subjects such as Music and Drama. The concept of Nrtta continued to exist and Nritya was established; each with its own individual identity. The term Natya which signified the combination of Nrtta (pure dance) and Abhinaya (meaningful expressions) had come into wide use. The Sangita-ratnakara of Sarangadeva marks the beginning of the period when Dance began to be discussed in its own right, rather than as an adjunct to Drama. It was during this period, the Desi types of Dance along with its individual forms were discussed in detail. And, the other significant development was the fusing of the special techniques of Angikabhinayas of both the Nrtta and the Desi types into the graceful Natya form. And, new trends in Dance were recognized. Though the ancient terms Nrtta, Tandava, Lasya and Natya continued to be interpreted in various ways, the term Nartana came to be accepted as the general class name of Dance, comprising its three sub-divisions: Natya, Nrtya and Nrtta. In the period beginning with the sixteenth century, Pundarika Vittala introduced the new concept of classifying dance forms into two separate classes, as the Bhaddha (structured) and Anibhaddha (neither bound nor structured). The later texts, while discussing Dance, apart from following Marga and Desi classification, also took into consideration Nartana-nirnaya’s classification of Bhaddha and Anibaddha, as a part of their conceptual framework. It was during this period, the Persian influence, through the Mughal Court , entered into Indian dancing, giving rise to a new style of Dance form, the Kathak. This period was also marked by the emergence of the Dance forms that were not specifically mentioned in the Natyashastra – the Uparupakas. This genre of musical dance dramas not only came to be admitted into the mainstream of dancing, but eventually became the dominant type of performing art, giving rise dance forms such as Odissi, Kuchipudi etc. The emphasis of the later texts shifted away from the Marga of the Natyashastra; but, leaned towards the newer forms of Desi Dances with their improvised techniques and structural principles. Apart from increase in the varieties of regional dance forms, a number of manuals in regional languages began to appear. These regional texts provide a glimpse of the state of Dance as was practiced in different regions. Bharata’s account represented only a small part of the total body of dance styles of the time. When new styles became prominent in the medieval period they had to be included in the descriptions of dancing. Such a widening of frontiers meant a great increment of technical description in the texts. The distinction between the Natyashastra and the later texts is not merely one of detail. Of greater significance is the fact that unlike the Natyashastra, the later texts recognize different styles. These are distinct from the one described by Bharata, the main path or Marga tradition of dancing. The later texts concern themselves more and more with other styles, known, generically, as Desi, whose technique and structural principles are sufficiently different from the style described by Bharata..
Further, the principle of Anibaddha allowed the dancer a considerable degree of freedom, encouraging her to search far and to create, through her ingenuity, novel aesthetic expressions. This was a major departure from the regimen that required the dancer to rigorously follow the prescriptions of the texts. The opportunities to come up with artistic innovations, within the framework of the tradition, helped to infuse enterprise and vitality into dance performances. The dance became more alive. At the same time, the Natyashastra continues to be the authoritative source book, which lays down the basic principles of the performing arts; and, identifies the range of body movements that constitute dancing. The Bharatanatya of today represents such a dynamic phase of the traditional Indian Dancing. It does not, specifically, have a text of its own; its roots are in the principles, practices and techniques that are detailed in Natyashastra, Abhinava Darpana and such other ancient texts. Though it is basically ingrained in the principles of Natyashastra, it delightfully combines in itself the Angikabhinaya of the Nrtta; the four Abhinayas of the Natya (Angika, Vachika, Aharya and Sattvika); the interpretative musical narrative element of the Uparupakas, for enacting a theme; and the improved techniques of the later times. Besides, the Bharatanatya developed its own Grammar through Dance idioms such as: Adavus (combination of postures – Sthana, foot movement – Chari, and hand gestures-Hasta); Jati (feet movement in tune with the Sollakattu syllables); Tirmanam (brilliant bursts of complicated dance rhythms towards the ‘end’ section of the dance). Besides, the Bharatanatya, in the context of its time, enriched its repertoire of the Nrtta by items such as Alaripu, Jatiswara and Tillana. Thus, the evolution of Indian Dance system is a dynamic process that absorbed new elements and techniques without compromising its basic tenets. It, thus, demonstrates the time-honored Indian principle of growth: continuity along with change. Before we discuss Dance and its forms, let’s take a look at the Art and Art-forms, in general. Sarangadeva’s Sangita-ratnakara (first half of 13th century) is of particular importance, because it was written just before influence of the Muslim conquest began to assert itself on Indian culture. The Music discussed in Sangita-ratnakara is free from Persian influence. Sangita-ratnakara therefore marks the stage at which the ‘integrated’ Music of India was before it branched into North-South Music traditions. It is clear that by the time of Sarangadeva, the Music of India had moved far away from Marga or Gandharva, as also from the system based on Jatis (class of melodies) and two parent scales. By his time, many new conventions had entered into the main stream; and the concept of Ragas that had taken firm roots was wielding considerable authority. Sarangadeva brought together various strands of the past music traditions, defined almost 267 Ragas, established a sound theoretical basis for music and provided a model for the later musicology (Samgita Shastra). Sarangadeva’s emphasis was on the ever changing nature of music, the expanding role of regional (Desi) influences on it, and the increasing complexity of musical material that needed to be systemised time and again. Yet; Sarangadeva was rooted in the prevalent musical practices of his time. His stress was consistently on the Lakshya the music as practiced than on ancient theories which though he respects them highly. Thus, Sangita-ratnakara not only provides materials for the study of the ancient music , but it also gives an insight into the then current practices. In his writing, Sarangadeva draws a clear distinction between the well established ancient (purva prasiddha) and the contemporary popular (adhuna prasiddha) Ragas. He also gives descriptions of the structures and temperaments of musical instruments such as Veena and Vamsa (flute ) according to the practices of his times. Sarangadeva gives some information about himself in the beginning of the work. Sarangadeva introduces himself as belonging to a family which hailed from Kashmir. His grandfather Bhaskara, an Ayurveda physician, moved from Kashmir into the newly found Yadava capital Devagiri (Maharashtra) in the Deccan region at the invitation of King Bhillanna V (1173-1192). After the death of Bhillanna, his son Jaitrapala or Jaitugi ascended the throne and ruled for a short period. He was succeeded in 1200 by Singhana (1200-1247). He was a very powerful king and also a great patron of arts, literature, and science. It is during his reign that Sarangadeva was appointed in his father’s (Sodhala’s) post as the Royal Accountant (Sri-karana-agrani). Along with his work at the King’s offices, Sarangadeva continued to practice the family profession of Ayurveda. He is also said to have written an Vedanta work entitled Adhyatma-viveka. That work is not available now. During his spare hours Sarangadeva was busy composing his monumental work on Indian music the Sangita Ratnakara, the Ocean of Music. It turned out to be one of the important and comprehensive Sanskrit texts on Music of India. The Samgita Ratnakara of Sarangadeva is a great compilation, not an original work, that ably brings together various strands of the past music tradition found in earlier works like Nāţyashastra, Dattilam, Bŗhaddēśī, Sarasvatī-hŗdayālańkāra-hāra and one that is greatly influenced by the commentary of Abhinavagupta the Abhinavabharathi . But for Samgita Ratnakara, it may have been more difficult to understand Natyasastra and Brhaddesi and other ancient texts. And, Samgita Ratnakara also established a sound theoretical basis for music related issues and practices. It also provided a model for the subsequent treatises to elaborate on music-theories and practices (Samgita Shastra). The Sangita, according to Sarangadeva, is a comprehensive term. It includes vocal (Gitam) and instrumental (Vadyam) music; as also dance (Nrtyam) – Gitam, Vadyam tatha Nrtyam trayam Samgitam uccyate. The last one, Nrtyam, the dance, is composed of all the three elements. In his work Sangita-ratnakara, Sarangadeva devotes seven chapters for discussing these three components (Anga-s) of Sangita. The Gitam, the song format, is a fusion of Nada (sounds) and Akshara (composition made of words). Its musical element is named Dhathu; while its composition made of words is called Mathu. Lohana Pandita, in his Raga-tarangini, says: – Dhatu-matu-samayauktam Gitam iti uccyate budhaih; tatra nadatmako dhatur matur akshara sambhavah’. Gitam, going by its traditional definition, strictly belongs to the Salaga Suda class of Prabandha, which is composed two Angas (elements) – Pada (words) and Taala (time-beats); and, having three components or Dhatus (Tri-dhatuka Prabandha): Udgraha, Dhruva and Abhoga. For more on that, please click here. But, in common practice, anything that is sung goes by the name of Gita (Giyata iti Gitam). The term Vadyam, covers a wide variety of musical instruments, such as : the varied string instruments; different types of Drums; bell-metal cymbals ; and a host of wind instruments including flutes, pipes , conch, trumpets etc. The Nrtya covers rhythmic limb movements as also eloquent gestures expressing emotions through Abhinaya. It is a harmonious combination of facial expressions, various glances, poses and meaningful movements of the hands, fingers and feet. Nrtyam, the dance, delightfully brings together and presents in a very highly expressive, attractive visual and auditory form, the import of the lyrics (sahitya), the nuances of its emotional content, to the accompaniment of soulful music and alluring rhythmic patterns (tala-laya). Thus, the Samgita Shastra as envisaged by Sarangadeva was a composite art consisting Gita (melodic forms), Vadya (instruments) and Nrtta (dance or limb movements). By the time of Samgita-ratnakara, three Angas (limbs) of Samgita were well developed. Of these, the Vocal music was regarded as the essential, fundamental music through which all other forms of music were to be understood and interpreted. Here again, Sarangadeva focuses on Desi Sangita, though he comments on aspects of Marga Sangita. On Dance (Nrttya) he offers clear picture of both Marga and Desi traditions, although in a concise manner. Sangita Ratnakara is a standard and an authoritative text; and it hugely impacted almost all the writers in the subsequent period. It is also a reliable source book on ancient music traditions and their authors. Sarangadeva, gives an elaborate resume of the general system of Indian music in theory and practice as had been developed in the centuries previous to the thirteenth. He gives detailed exposition of th jatis, and the grama-ragas, accompanied by actual notations. But the most valuable information that this text conveys to us is as to the ancestry of several of the ragas, whose names occur for the first time in the Sangita Makaranda and which ragas must have acquired those names some time before, say about the eighth century. The text of Sarangadeva affords the only evidences as to the sources from which these well-known ragas derive their character and existence. But for Samgita Ratnakara, it may have been more difficult to understand Natyasastra, Brhaddesi and the other texts . The text of Sangita Ratnakara has 1678 verses spread over seven chapters (Sapta-adhyayi) covering the aspects Gita, Vadya and Nritta: Svaragat-adhyaya; Ragavivek-adhyaya; Prakirnaka-adhyaya; Prabandh-adhyaya, Taala-adhyaya; Vadya-adhyaya and Nartana-adhyaya. The first six chapters deal with various facets of music and music-instruments; and the last chapter deals with Dance. The first chapter deals with Nada (the sound); the second with Raga; the third with Prakirna (miscellaneous topics relating to music); the fourth with Prabandha class of Music ; the fifth with Marga and Desi Taala systems; the sixth with Vadya (musical instruments); and the seventh chapter on Nartana dance. In general, Sarangadeva follows Abhinavagupta very closely. Chapter One – Nada: What seems rather unusual for a formal text on music is that Samgita-ratnakara opens with a lengthy chapter (Svara-gathadhyaya), divided into eight Prakaranas or Sections running into more than 170 verses purportedly dealing with Svara. It does not talk much about music. But, it goes into elaborate details of human anatomy (according to the Ayurvēda) , the centers (Sthanas) in the body associated with origin, development and articulation of sound – heart (Hrid), throat (Kantha) and head region (Murdha) – in three varieties of pitches – Mandara, Madhya and Tara. The third Prakarana of the first chapter is Nada-Sthana-Sruti-Svara-Jati-Kula-Daivata-Risi-Chanda-Rasa-prakarana. It also goes into the philosophical aspects of Nada, sound, which it regards as the manifestation of the undifferentiated, absolute principle Nada Brahman. Then it talks about two forms of Nada the un-struck or un-manifest (anahata) and the struck or the manifest (ahata). The sound in the human initially commences as an impulse or an idea in the mind with an urge to express itself. That idea is individualized and activated by the mind. It takes the aid of breath (Prana), the medium, to act as the vehicle to carry that idea. When the intention (idea or impulse) strikes (ahata) a bond with breath (Prana), the un-manifest turns into manifest Nada. The, ahata, like its prior form (anahata) is neutral Svara, sound. It is only after passing through series of processes; the Svara is differentiated into Sruti (pitch) modulations. Srutis are units of tonal interval with which the interval of a Svara is measured. Hence the Svaras are described next. After describing the intervals of the Suddha-Svaras those of the Vikrita-svaras are given. Suddha-svaras are those which conform to the arrangements of the seven Svaras of the Shadja-murcchana of Shadjagrama. Those which differ from this arrangement are the Vikrita-svara-s. There are 7 Suddha and 12 Vikrita-svaras. The Sruti-s (pitch) are said to be of 22 kinds of time-intervals. When certain of these are located along the chosen octave-continuum , modified (sharp or flattened) from their normal and highlighted, a recognizable pattern of Svaras emerge. Here, the Prana and certain body parts play vital roles to transform Sruti into Svaras. Body is considered as an arched harp with 22 strings activated by Prana (vital breath). Three Gramas are described – Sahdja-grama, Madhyama-grama and Gandharva-grama. The names of the Seven Murcchanas in each Grama are also given. The sixth Prakarana is on Varna and Alankara. Varnas denote the different kinds of movements that a melodic line can take. Four Varnas are described: Sthayi, Arohi, Avarohi and Sanchari. Alankara-s are ornamental patterns of Svaras that decorate a melodic line. Alankaras are classified under the four Varnas. The seventh Prakarana is Jati-prakarana in which the lakshana (characteristics) of eighteen Jatis are given. The first seven are classified into Suddha and Vikrita; and the remaining eleven as Samsaragaja. The characteristics or the laksana-s that are used for a describing a Jati are the same ten as mentioned in Brihaddesi. The last Prakaraņa is called the Gīti-prakaraņa. Although it is named thus it takes up the treatment of certain musical forms called Kapāla and Kambala first and then goes on to Gīti-s. The Kapāla songs are based on some derivatives of Jāti-s and they are made up of words describing the fierce form of Lord Shiva. Chapter Two – Raga viveka: is about the descriptions of the Ragas which are treated under two broad heads of Marga and Desi. He mentions six varieties of Marga Ragas: Gramaraga, Uparaga, Raga, Bhasha, Vibhasha and Antarbhasha. He also gives a list of purva-prasiddha (well established) and adhuna-prasiddha (recently established) Ragas. Many Ragas are illustrated in notation. There are also Sanskrit compositions in notation. But, Sarangadeva’s focus is primarily on the Desi Ragas. He describes and discusses four types of Desi Ragas: Raganga, Bhasanga, Upanga and Kriyanga. The Gramaragas resemble the Jāti-s closely and they are further classified on the basis of the different melodic styles. These styles are called Gīti. In this chapter, the five Giti-s, namely, Suddha, Bhinna, Vesara, Gaudi and Sadharini are described. All Ragas are dear to Lord Mahadeva. Yet; it would be proper to sing the songs of shadja; madhyama ; and , gandhara gramas during winter, summer and rainy seasons. Following that tradition, Sarangdeva in his Sangeet Ratnakara, emphasized the importance of the performance of the ragas in their proper season and time. In this chapter Raga-viveka-adhyaya, Sarangdeva laid special emphasis on the specific times and seasons for the performance of ragas. He also makes mention of the allotted times and seasons for the rendition of the ancient Gram-ragas. For e.g. he says Shadjagrama raga is to be performed in Varsha ritu; Bhinna Kaishik in Shishira ritu ; Gaud Pancham in Grishma ritu ; Bhinna Shadja in Hemanta ritu ; Hindol in Vasanta ritu ; and, Raganti in Sharad ritu. Sarangadeva devotes a large section of his chapter on Ragas (raga-vivekadhyaya) to the Desi Ragas famous in ancient times (prak-prasiddha desi-ragah). He gives an historical survey of Ragas according to theancient scholars Yastika and Matanga. He then gives a preliminary list of eight Uparagas: Tilaka, Saka, Takka-saindhava, Kokila, Pancama, Revagupta, and Pancama-sadava. Next, he gives a general list of twenty Ragas , namely : Bhavana-pancama, Nagagandhara, Naga-pancama, Sri-raga, Natta, Vangala, Bbasa, Madhyama-sadava, Raktahamsa, Kollahasa, Prasava, Bhairava·dhvani, Megha-raga, Somaraga, Kamoda, Abhra-paficama, Kandarpa-desakhya, Kakuba, Kaisika, Natta-narayana. He then enumerates, on the authority of Yastika, fifteen melodies-which are asserted as generic ragas from which the minor melodies bhasha (raginis) are derived- (Bhasanam Janakah panca-dasaite Yiastikoditah). These are: Sauvira, Kakubha, Takka, Pancama, Bhinna-pancama, Takka-Kaisika, Hindolaka, Vhotta, Malava-kaisika, Gandhiira-pancama, Bhinna-sadja, Vesara-sadava, Malava-pancama, Tana, Pancama- sadava. Then he proceeds to enumerate the different bashas or derivative melodies affiliated to these ragas. In the next section, he describes the further subdivisions of the melodies into Ragangas, Bhashangas and Kriyangas on the authority of Kasyapa, son of Sodhala and enumerates thirtyfour melodies. “These 34 ragas are said to have been famous in early times.” Catus-trimladime ragah prak-prasiddhah prakirtiah. Chapter Three: Prakirnaka: deals with varieties of topics such as: Guna –Dosha (merit and de-merits) of Vak-geya-kara (composers who set their songs to music) ; Guna –Dosha in voice culture of male (Gayaka) and female (Gayani) singers, articulation (Sabda) and resonance in voice (Sarira); improvisations in song-rendering by application of ornamentations (Gamaka) of fifteen kinds*; expressions that manifest the feelings or effects associated with Raga phrases (Sthaya) , which are of ninety-six kinds; and, Alapi free and improvised rendering of Raga and the song of two sorts Raga-Alapi that is not bound (Anibaddha) or restricted by Taala ; Rupaka-Alapi , melodic improvisation done while rendering the text of the song. Chapter Four –Prabandha: is a detailed discussion on Prabandha class of Music that was dominant during the days of Sarangadeva. He says: the Gayana (singing) is twofold – Nibaddha and Anibadda. That which is composed of Anga-s (limbs or elements) and Dhathu-s (sections) is Nibaddha Samgita. And Alapita which is free from such structures is known as Anibadda Samgita. Then he goes on to say that Nibaddha has three names: Prabandha, Vastu and Rupaka. By the time of Samgita-Ratnakara, Prabandha had grown into thousands. Sarangadeva explained Prabandha as that which is pleasant; and that which is governed by rules regarding Raga, Taala, Chhandas, Vritta (Sanskrit verses) and Anga. Sarangadeva described about 260 types of Prabandha-s with their variations. Sarangadeva generally followed Manasollasa and Sangita-Samayasara. He describes the four sections (Dhathu) of a Prabandha song (Udgraha, Melapaka, Dhruva, and Abogha) along with Antara the intermediary; and its six elements (Anga) or limbs (Svara, Birudu, Tenaka, Pata, Pada and Taala) . These comprehensively cover the three aspects of a song: the text, the Raga (melody) and Taala (rhythm). Then he takes up the discussion on class of Prabandhas: Shuddha Suda, Salaga Suda, Alikrama and Viprakirna. Of these , Sarangadeva selects Salaga Suda for detailed treatment. Sarangadeva was the first to present the class of Suda systematically, lending it a theoretical base. For about 300 years thereafter, the terms and descriptions provided by Sarangadeva were adopted by all the later authors. He discusses seven types of Salaga Suda songs: Dhruva, Mantha, Prati-mantha, Nihsaru, Addatala, Rasaka and Ekatali. Chapter Five – Taala: deals with time units or rhythmic patterns Taala. Sarangadeva deals with Marga Taala and Desi Taala separately. Under Marga Taala , Sarangadeva mentions five varieties : Caccatpuţa ; Cācapuţa ; Şaţpitāputraka ; Sampakvēşţāka ; and Udghaţţa. Under these he discusses the different aspects of the Taala such as the time-units Laghu, Guru and Pluta; the Kriyā-s; the different forms of a Taala like Ēkakala, Dvikala and Catuşkala. After the Marga Taala, 120 varieties of Desi Taala employed in Prabandha songs are discussed. Chapter Six- Vadya: generally follows the discussions on Music instruments (Vadya) as elaborated in Natyashastra. Sarangadeva also describes various class of instruments in terms of : Tata (stringed) Susira (hollow) , Avadhana (Drum type) and Ghana ( solid like cymbals). Under these, he names some specific types: Tata (Ekatantrī, Citrā, Vipañcī, Mattakōkilā, Ālāpinī, Kinnari); Susira (Vamśa, Kāhala, Şańkha); Avadhana (Huḍukka, Paţaha) ; and, Ghana(Kāmsyatāla, Ghaņţā). He also talks about the construction of these instruments and ways of playing them. Although he follows Bharatha in describing the movements of the body, he differs from Bharatha in dividing the limbs into three categories, Anga, Upanga and Pratyanga. he follows the Manasollasa in using the term Nartana for dance; dividing Nartana into three categories : Natya, Nrtya and Nrtta (SR. 7. 3). He also differs from Natyashastra which identifies Tandava as Shiva’s dance and Lasya as Parvati’s. According to Sarngadeva, Nrtta and Nrtya can both be of two kinds, Tandava and Lasya (SR. 7. 28). Tandava requires uddhata (forceful) and Lasya requires lalita (delicate) movements (SR. 7. 29- 30). Sarangadeva’s description of Cari, Sthana, Karana and Angaharas of the Marga type are as in the Natyasastra. But the Desi Caris, Sthanas and Utplutikaranas are the same as those in the Manasollasa of Someshwara. Next described are Gaundali and Perani, the two dances commonly performed in in the Desi tradition. Here he follows Sangita-Samayasara. Sarngadeva explains the importance of aesthetic beauty, lays down the rules of exercise, and describes the qualities and faults of a performer (including a description of her make-up and costume), and those of the teacher and the group of supporting performers. Then he describes the sequential process of a performance, including the musical accompaniment, in the pure mode or suddha-paddhati. After describing these two dance pieces, Sarngadeva deals with the qualifications of the Acharya (the teacher), the Nata (the actor), the Nartaka (the dancer), the Vaitalika (a general entertainer), the Charana (an expert in understanding gharghara) and the Kohlatika (a performer who specializes in Bhramari, rope-walking and dancing with a dagger). Next, he describes the audience and the sitting arrangements. The significant commentaries on the text include the Sangitasudhakara of Simhabhupala (c.1330) and the Kalanidhi of Kallinatha (c.1430). Ramamatya who described himself as the maternal grandson of the learned scholar Kallappa Desika (Vidyanidhih Kallappa Desikaste matamaho) – identified by some as Kallinatha (the author of a commentary on Sarngadeva’s Sangita Ratnakara ) ; was the son of Todarmalla Timmamatya (Todara-malla meaning in Kannada – the hero-malla– who wears the honorific anklet – Todar). Ramamatya was a noted scholar and musician in the court of the Vijayanagar King Sadashiva Raya (1542-1570). It is said; that Ramamatya was requested by Venkadri, the brother of Rama Raja the Minister of King Sadashiva Raya, to write a book on Music, particularly to reconcile the tradition and the current practices. The result of his efforts was Swaramelakalanidhi having five Chapters : Upodgata (preface), Swaraprakarana, Veenaprakarana, Melaprakarana and Ragaprakarana with a total of about 328 couplets in Sanskrit. The text systematically deals with Svara, Veena, Mela system and Ragas. The date of the text is said to be Shravana Shuddha 10th, Shaka year 1472, I.e, A.D. 1549. Swaramelakalanidhi is a fitting introduction to the post-Sangita Ratnakara period in the history of South Indian Music. 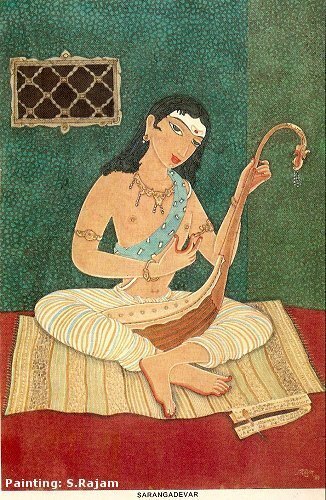 Ramamatya’s work makes it evident that the Sangita of his time (around 1550) was yet to be influenced by the Muslim music. The Raga-vibodha of Somanatha (1609) supports this view, although Somanatha himself seemed to be getting familiar with Muslim music. As desired by his patron, Ramamatya brings the theory up to his times, rationalizes music principles and practices). He speaks of two kinds of Music: the ancient Marga or Gandharva which was Lakshana (theory) oriented (pradhana) and the Desi Sangita which is in practice (Lakshya pradhana). He seemed to favor the practice of Music over the theory (Lakshya pradhanam khalu Gita-shastram). Ramamatya describes various types of Veenas used in his day as well as their tuning. He distinguishes two main types: Veena with fixed frets which that allows all the Ragas to be played (Sarva-raga-mela-veena); and, Veena on which only one Raga could be played at a time (Eka-raga-mela-veena) and for playing another Raga the frets had to be moved and re-arranged. Besides these he mentions three other types of Veena differing in in the tuning of their main strings : Shuddha-mela-veena (Sa, Pa, sa, ma); Madhya-mela-veena (Pa, sa, pa, sa) ; and , Achutharaya-mela-veena (Sa, Pa, sa, pa) . An interesting aspect of Ramamatya‘s description is the method of placing the frets. Ramamatya bases his technique in the principle of Samvadi Svaras as described in in ancient texts. He also brought certain improvements into the technical aspects of Music. For instance; the ancient music-theories mentioned 22 Srutis, although only 14 were used as Svaras (notes). Ramamatya reduced the number of Srutis to 12, because, he said, the difference in pitch between Antara Ga and Cyuta Ma (prefix cyuta means lowered) and the notes were negligible. He specified the implementation of this tuning by describing the location of six frets on his Veena. The most important contribution of Ramamatya was in the formulation of a logical principle of classifiation of the ragas, on the basis of the common elements of their characteristic note structures. Following the precedent of Yastika (Bhasanam janaka panchca-dasaite Yastikoditah), whom he cites, he enumerates the fifteen major Ragas ; and, also indicates that these fifteen Ragas are the father (janaka), that is to say, the genus of the minor melodies (bhasas). This old janya-janaka system (corresponding to the raga-ragini-putra system of the North) is replaced by Ramamatya by an independent analysis of the Ragas; and, by a systematic classification based on a study of the common elements of the Svara compositions of the different varieties of Ragas, grouped (mela) according to their basic structural unity. He clarified the distinction between abstract Mela ragas, Janaka ragas and Janya ragas. He then combined these three concepts to identify 20 Melas under which he classified about 64 Janya Ragas. Ramamatya’s Swaramelakalanidhi , thus , marked the revival or a new beginning of an era of classifying Ragas on purely music principles; and, methodically grouping them under what came to be known as Mela system. After Swaramelakalanidhi, numerous other works were written following Ramamatya‘s theories of classifying Ragas into Mela system. Thereafter, the 16th and 17th centuries grew into periods of great importance for production of Lakshna-granthas. Bringing to fore the method of classifying Ragas into Melas could be said to be the major contribution of Ramamatya. It appears that by the time of Ramamatya, the method of deriving tunes from the complicated arrangement of Grama-Murchana-Jaati was no longer in use. Similarly, the ancient model essentials (lakshanas) for identifying a Raga based on ten criteria was no longer in practice. The ten ancient criteria (lakshanas) had then been reduced to five. Ramamatya, in his Svara-mela-kalanidhi classified the then known Ragas into 20 Melas. His classification of Melas was based on five criteria (Lakshana). That is, Amsa (predominant note); Graha (initial note); Nyasa (final note); Shadava (sixth note); and, Audava (pentatonic structure) were no longer considered necessary. This meant that the ancient modal system was replaced by a scalar system. Nevertheless, individual Raga continued to preserve some of their ancient modal essentials (Lakshna), in certain case even until today. In chapter 5 , Ramamatya arranges the Ragas into three classes : Uttama (pure or superior) suitable for singing (Giti) , for elaboration (Alapa) , phrasing (Taya) and for composing (Prabandha). The second was the Madhyama (middle one) Ragas suitable for singing segments of compositions (prabandha khanda). And , the third being Adhama ( inferior) the Ragas that are meant to dazzle the masses ( pamara -bhramaka) ; but , unsitable for Alapa, Prabandha or Taya. Ramamatya also mentions traditional characteristics (Lakshana) of certain individual Ragas , such as the initial note (Graha) , the dominant note (Amsa), and the the final note (Nyasa) ; the number of notes ( 5,6 or 7) ; and, recommended suitable time for performance. The germ of the idea of the genus-species system was perhaps present long before Ramamatya. But, he was the first to introduce a chapter on Mela called Mela-prakarana. In this chapter, he enumerates, the Melakas (unifiers) and then explains their characteristics. Even prior to Ramamatya the method grouping the Ragas into Mela was in vogue. Mela is a Kannada word meaning gathering or grouping. The practice of grouping (Mela) the Ragas according to their parent scale, it said, was initiated by Sage Sri Vidyaranya in his Sangita-sara (14th century). Govinda Dikshita (who reverently addresses Sri Vidyarana as: Sri Charana) confirms this in his Sangita-sudha (1614). Sri Vidyaranya classified about 50 Ragas into 15 groups (Mela). The intention of the Mela system was to organize then known Ragas that were in practice. Sri Vidyaranya’s work on Melakarta system was followed up and improved upon in later times by other scholars. Following Sri Vidyaranya, Ramamatya in the fourth Chapter – Mela-Prakarana– of his Svara-mela-kalanidhi introduced the theoretical framework for classifying then known Ragas under 20 Melas (parent scale), the notes and names of which were taken from the prominent Ragas of that time. This was an improvement over the system initiated by Sri Vidyaranya. Treating Ragas in terms of a Mela was possibly the most significant approach and development in musical history. Mela refers to a collection of seven Svarasthanas (Svara postions). All Ragas are Janya Ragas, and janya Ragas that have a common set of Svarasthanas are placed in the same Mela. The name of the Mela was given to the Raga among the group that was most significant or popular. At this stage, the Raga that held the title for the Mela did not need to possess all the seven Svaras; and though the Mela was referred by its name, it was still a janya Raga. Following an older precedent, Ramamatya takes the Mukhari Mela, as the Shuddha scale and gives it the place of precedence. He said “Of all the Melas, Mukhari is the first. Other Melas are followers” . Ramamatya gives details of Shuddha-svara-s and Vikŗta-svara-s occurring in each of the Mela, a list of sixty-four Janya Raga-s classified under each Mela, and the Sruti positions of Svaras in the Melas. Mukhari is established as the Shuddha-svara saptaka in this treatise (For more, please see Swaramelakalanidhi of Ramamatya by Dr. N. Ramanathan) According to Tulaja , the Karnataka Raga Mukhari (Raga as well as Mela) is the same as the ancient Suddha-sadharita. Ramamatya lists 20 Melas : 1. Mukhari; 2. SriRaga; 3. Malavagaula; 4. Saranganata; 5. Hindola ; 6.Shuddha-ramakriya; 7. Desaki; 8.Kannadagaula; 9. Shuddanti; 10.Ahari; 11.Nada-ramakriya; 12.Shuddhavarjati; 13. Ritigaula; 14. Vasantha-bhairavi; 15.Kedaragaula; 16.Hejujji; 17.Samavarali; 18. Revagupti; 19. Samantha; and 20. Kambhoji. In this scheme, ten ancient model essentials (lakshanas) which had been reduced to 5 (the predominant note (Amsa); the initial note (Graha); the final note (Nyasa), the hexatonic structure (Shadava) and the pentanotic structure (Audava)) were no longer considered to be the criteria for classifying the Ragas. That meant that the ancient modal system was replaced by a scalar system. Nevertheless, individual Raga continued to preserve some of their ancient modal essentials (Lakshna) , in certain case even until today. Such continuity in the Ragas is illustrated by the following Ragas: 1. The Karnataka Raga Mukhari (a Raga as well as a Mela) , which according to Tulaja is the same Raga as the ancient Suddha-sadharita; 2. Karnataka Raga Varali or Varati that is both Samavarali and Jhalavarali; 3.Hindustani Varari or Barai – Varati; 4.Hindustani Bhairava; 5.Karnataka Lalita; 6.Karnataka and Hindustani Dhanasri; and, 7.Hidustani Sindhubhairavi. Ramamatya’s exposition of Mela, Raga and his technique of ‘Madya Mela Veena’ was a pioneering work in the systematic classification of Ragas. After his work, numerous others on Raga, Mela, Janya, etc were published. Ramamatya was followed by: Pundarika Vittala (16th century); Venkatamakhin (17thcentury); and his grandson Muddu Venkatamakhin (18th century). Ramamatya’s work also enormously influenced Somanatha’s Raga Vibodha and Govinda Dikshitar’s Sangita Chudamani, two important works which deal with Ragas current at their time. Some regard Ramamatya, Somanatha and Govinda Dikshitar as the Trinity of Karnataka Sangita theory (Sangita Shastra). Later scholars, that is after Ramamatya, started computing the maximum number of seven Svara combinations they could derive (melaprasthara) based on the number of Svara positions. Here, each author computed a different number of Melas based on the number of Svarasthanas he had theorised. For example, the Sad-Raga-chandrodaya Pundarika Vittala mentions a possible 90 Melas, while in Somanatha’s Raga Vibhodha there are 960 possible Melas. Even though they came up with this computation they found that only a limited number of these were actually used in the form of a Raga. Therefore, Somanatha felt that 23 Melas would suffice to classify the 67 Ragas then in practice. During the second half of the 16th century Pundarika Vittala (in his Raga-manjari) introduced Ramamatya’s Mela system in North India. But, he changed the names and scales of several Melas. Another South Indian musicologist who migrated North was Srikantha who wrote his Rasa-kaumudi at about the same time. He reduced Ramamatya’s 19 Melas (as Saranganata and Kedaragaula) were actually the same scale. This system resembled the contemporary Arabic system of 12 predominant modes (Maqam). One of the most important texts in music of South India was Chatur-dandi-prakashika of Venkatamakhin (1660), which brought the Mela- Janya system on a rational basis. It classified the Ragas according to the system of 72 basic scales (Mela). This system still prevails in South Indian music, though with modifications. In 1620, Venkatamakhin, son of Govinda Dikshitar, corrected Ramamatya’s Mela system by reducing the number of Melas from 20 to 19, because he said the notes of the two Melas Kedaragaula and Saranganata were the same. More importantly, in the Appendix (Anubandha) to his Chatur-dandi-prakashika, Venkatamakhin mentions the possibility of classifying Ragas (Kanakangi to Rasikapriya) built on 12 Svara-Sthanas under a 72 Mela-karta scheme made into two groups of 36 each (Shuddha Madhyama and Prathi Madhyama) . (It was at this time a theoretical possibility, since all those Melas were yet unknown.) The 72 Melas bear the names of prominent contemporary Ragas; and each of which is considered the basic scale of one or more Ragas. Again, during late 17th – early 18th century, Govindacharya the author of Samgraha-chudamani changed the names of some Melas of Venkatamakhin. He expanded on Venkatamakhi’s Chatur-Dandi-Prakashika by introducing the Sampoorna Melakarta scheme which has a complete (sampoorna) arohana – avaroha structure. as well as delineating Lakshanas for 294 Janya Ragas, many of which were till then unknown, with their Arohana and Avarohana. In this scheme, the Melakartas arise out of systematic permutation of the seven Svaras into the twelve svara sthanas. Govindacharya also gave lakshana gitas and lakshana slokas for 294 Janya Ragas. And, he also refined the Katyapadi prefixes by linking the Mela Ragas to their first two syllables of their names. This system of 72 Mela is the Karanataka Mela system of the present day. As per Shri TM Krishna: ‘Mela started out as a way to organize existing Ragas but moved to creating scales as Ragas using the Mela structure. Probably for the first time in musical history theory influenced practice. This is probably why many Ragas in performance even today are only svara structures sans features that give a Raga an organic form’. The voluminous Sangita Sampradaya Pradarshini by Sri Subbarama Dikshitar (1839-1906) , the grandson of Sri Mutthuswami Dikshitar , running into about 1700 pages is a source-book on Music of India , tracing the history of Music from Sarangadeva to the 20th century through a series of biographies of noteworthy musicians and music-scholars . It also provides exhaustive details on 72 Melas as also tables of Ragas, Ragangas, Upanga-s, Bhashangas with their Murcchanas, Gamakas, in addition to details of the Taalas. Pandit Vishnu Narayan Bhatkhande (1860-1936), a scholar and a musicologist, in his colossal work ‘Hindustani Sangeet Paddhati’ reorganized the Uttaradi or North Indian Music, mainly, by adopting the concept of Mela system as expanded by Venkatamakhin (1660) in the Appendix to his Chatur-dandi-prakashika. Bhatkhande also adopted the idea of Lakshana-geetas that Venkatamakhin employed to describe the characteristics of a Raga. Bhatkhande arranged all the Ragas of the Uttaradi Sangita into ten basic groups called ‘Thaat’, based on their musical scales. The Thaat arrangement, which is an important contribution to Indian musical theory, broadly corresponds with the Mela-karta system of Karnataka Sangita. When you look back the long and interesting history of Raga in Karnataka Sangita stretching from Matanga to the present-day , you find that the system has evolved through several stages. If Matanga defined the Raga and lent it a sense of identity, it was Ramamatya that activated the process of binding the Ragas into structured groups. This has provided Karnataka Sangita a unique and a thorough theoretical foundation. Thus, Swaramelakalanidhi of Ramamatya occupies a significant position in the history of the development of Karnataka Sangita. And, as Dr. N. Ramanathan remarks: Swaramelakalanidhi is an important work as the information contained in it is more relevant and related to the modern practice than the books written prior to it. It is not , therefore, surprising that Emmie Te Nijenhuis lauds Swaramelakalanidhi as a landmark in the history of Indian Music. Saṅgītaśiromaṇi is a compilation or a Handbook of Indian Music prepared by a group of scholars, based on number of older texts in Sanskrit. It is said; Sultan Malika Sahi, who ruled the region surrounding Allahabad, invited a group of scholars to his capital Kada, during the year 1428; and, asked them to prepare a large book on music , to serve as the source / reference material, by making use of considerable number of ancient texts he had collected. The resultant work Saṅgītaśiromaṇi, which to a large extent was based on Sarangadeva’s Sangitaratnakara, soon gained the reputation as a standard and a very valuable reference book on Music. And, various scholars and authors often quoted verses from Saṅgītaśiromaṇi. But, in the later times, sadly, the portions of the book dealing with musical instruments and dance were lost. Please do read the edited and translated version of the first fourteen chapters of the Saṅgītaśiromaṇi, as rendered by the noted scholar Emmie Te Nijenhuis. Her edition of Saṅgītaśiromaṇi: A Medieval Handbook of Indian Music is remarkable for its scholarly and detailed explanation / illustration of the principles of Indian music such as : Sruti (intonation); Svara (notes); Grama ( tone-system); Murchana (scales); Taana (tone-patterns); Sadharana (overlapping); Varna (melodic line); Alamkara (musical figures or graces); Jati (mode); Giti (styles of singing); Ragas – their classifications and characterizations; and others. Sangita Makaranda ascribed to Narada (7th -9th century) is an interesting work. It has two parts, one on music; and , the other on dance, each divided into four sections. Its style is said to be rather complicated; and, makes a difficult reading. The first part of the text is devoted to music (Sangita) . It has subsections dealing with the origin of Nada and Svaras; associations of the Svaras with factors such as Gramas , Murchanas etc ; various musical terms such as , Vadi, Sruti, Alamkara etc; classification of Ragas ; and , with the musical instruments. Before we get back to its music-aspect lets briefly take a look at its dance-content. In the first section of the part on dance, the author discusses the dance-hall, the audience, the poet, the singer, types of learned spectators, the chairman, the dance-teacher, the percussionist, the performer, the flower-offering and the origin of the Talas. The second section describes the characteristics of 101 Talas. The third section also gives information on Tala, including the derivation of the word, the essence of Tala, the time, Marga, Desi and such other details. The fourth section is devoted to drums but also contains a short final subsection of 33 verses called natibhavanirupanam which is devoted to dance. It describes five double hand-gestures, five single hand-gestures, eight bhramaris, nine head movements and four feet movements. According to Emmie te Nijenhuis , the first chapter of the Sangita Makaranda seems to closely follows Sarangadeva’s views , specially , with regard to the treatment of the Svaras and their association with the deities (Devata), meters (chhandas) , and emotions (rasa). Narada also adds to the systems of associations the family names (gotra), constellation (rasi), the birth-star (nakshatra ) , the presiding deities of the constellation (rasi- adidevata) and the associated creature (yoni kathanam). Narada brings in philosophical, Tantric and religious interpretations into Desi Music. He names Brahma, Vishnu and Maheswara as the deities of Shadja, Madhyama and Gandharva Gramas, respectively. In that order, each Grama is allotted to a season (Rtu): Hemanta (winter) for Shadja; Grishma (summer) for Madhyama; and, Varsha (rains) for Gandharva Grama. As regards the time of the day for rendering the Gramas, he allots forenoon to Shadja; midday to Madhyama; and afternoon to Gandharva Grama. Narada in his Sangita Makaranda (12) calls the playing of the seven pure or natural notes (Shuddha Svara) of the scale ascending from the lower to higher , i.e., starting from Shadja ( meaning , the one giving birth to the other six notes ) as Prakrti; and, the way of playing from the descending scale as Vikrti . Here, Prakrti denotes, a hierarchy of sounds played on a Veena. According to Narada, the practicing the scale on musical instruments is comparable to emanation and withdrawal of the universe. There are two modes that are known to exist in playing of the Svaras on stringed instruments. Of the two, the playing of the Svaras starting with Shadja and ascending up to Nishada is known as Prakrti (natural), which was practiced by Bharata . In the other mode, the Vikrti (modified) the Svaras start with Nishadha and moves on to Shadja in order to complete the scale. Narada explains that Shadja is the first important note holding more ministers (samvadi notes), hence it gets a grama on its name. Madhyama is a note which cannot be omitted in any Grama, so it also holds a grama. About Ga he says that it is born in heaven, used by divine beings, thus indisputable. (There seems to be a pun on the term. Here, Grama is a technical term; and grama is village). Earlier, Gandharva grama was not defined clearly. Narada in eight Slokas (49-56) gives the names of the Murchanas of Gandharva Grama as : Nandi, Visala, Sumukhi, Chitra, Chitravati, Shukha and Aalapa. Emmie te Nijenhuis explains that according to Narada, Sa and Ma has four Srutis, and Dha three Srutis. He takes one Sruti from Ri and Ma each and allocates them to Ga, which normally has two Srutis only. Thus, Ri has two Srutis, Ma has three Srutis, Ga has four Srutis. Narada says that Ni takes one Sruti from Pa, which has four Srutis. Sa has only three Srutis. Further Emmie te Nijenhuis explains : In the description of Shadja and Madhyama Gramas, Narada follows the general order accepted by all, i.e. Shadja Grama (4,3,2,4,4,3,2 Srutis); Madhyama Grama (4,3,2,4,3,4,2 Srutis). Narada also confirms that in Shadja grama, Shadja is in consonance with both Madhyama and Pancama. In the same way, in Madhyama Grama, Pancama is the consonant to Dhaivata and Rishabha. Narada again mentions that Panchama has only three Srutis, while Dhaivata of Madhyama Grama gains one Sruti and has four Srutis. As regards the Ragas, Narada introduces the concept of identifying the proper hour of the day for rendering certain Ragas. Morning melodtes: Gandhara, Deva-gandhara, Dhannasi, Saindhavi, Narayani, Gurjari, Vangala, Patamanjari, Lalita, Andola-sri, Saurastreya, Jaya-saksika, Malhara, Sama-vedi, Vasanta, Suddha-Bhairava, Velavali, Bhupala, Soma-raga. Noctural melodies: Suddha-nata, Salanga, Nati, Suddha’varatikii, Goula, Malava-gauda, Sri-raga, Ahari, Ramakrti, Ranji, Chaya, Sarva-varatika, Dravatika. Desi, Nagavaratika, Karnata, Haya-gaudi. A significant feature of the work is the system of classifying six Ragas as male and six Raginis as female , thus forming six cohesive families, raga-parivara. It also mentions about neuter (napumsa) ragas. In a particular season, one designated Raga is to be sung along with its Ragini and their offspring (putra raga). The six groups of Ragas enumerated in the Sangita-makaranda formed foundation of the earliest mythology of the melodies. The legends ascribe to Shiva or Nataraja, the origin of the science of music and drama. According to the legend here, the ragas are said to have been derived from the union of Sihva and Shakti – Parvati, or Girija. From the five faces of Shiva, at the beginning of his dance (nartana arambhe), came out the five ragas: Sri-raga, Vasanta, Bhairava, Panchama, and Megha; while the sixth raga, Nata narayani came out of the mouth of Parvati (Girija), the daughter of the Himalaya, when she performed the elegant lasya dance. In Sangita Makaranda , the author wonders : strange are the ways that assign names to the Ragas – Naradena vicitrena santi namani vaksyate. He then indicates how the Ragas came to be named during different periods in the history of Indian Music. In the period of Natyashastra the Gramas were named after their main Svaras. For instance; Shadava was named after Sha; Madhya Grama after Ma; and, Gandharva after Ga. As regards the Ragas, took their names from the dominant or significant Svara prevailing in their compositions. Thus, one of the Grama-ragas is called Shadji from the note Shadja; Arsabhi, from the note Rsabha; and, Gandhiiri, from the note Gandhara, and so on. In the second stage, it says, the Ragas came to named after the names of tribes (Janapada). For instance; Raga Abhiri was named after Abhira tribe, Raga Saviri after Savara tribe; Pulinda Raga after Pulinda tribe ; Saverika (Saveri) after the Savars, and Bhairava-raga after the Bhairavas ; and so on . In the third stage, Ragas were named after the regions (Desha). For instance Surati or Surat Malhar was named after Saurastra region; Sindu Bhiravi after Sindu Desha; Karnati after Karnataka; Kambhoji after Kambhoja Desha; Gauda and Purvi after the Eastern part of Bengal ; Gurjari after Gujarat region and so on . Later , some of the names of the Ragas were derived from their associations with the season( Megha raga with raina , Vasantha with spring ) , and seasonal feastivals (Hindola with swing festival, Sri Raga with harvest festival). Sangita Makaranda has seven sections: Naada, Sruti, Svara, Raga, Veena, Taala, Nartana, etc. Many types of instruments are mentioned – including nineteen types of Veena – kachchapi, kubjika, chitra, parivadini, jaya, ghosavati, jyeshta, nakuli, mahati, vaishnavi, brahmi, raudri, ravani, sarasvati, kinnari, saurandri, ghosaka etc. It also lists 22 Srutis and their names. The Srutis are divided into five classes : (1) Dipta (dazzling) –Tivra,Raudri, Vajrica and Ugra; (2) Ayata (vast oe expansive) – Kumudvathi, Krodha ,Prasarini, Sandipini, and Rohini; (3) Karuna (compassion) –Dayavathi, Alapini and Madanti; (4) Mrudu (tender) –Manda , Ratika,Priti and Ksiti; and (5) Madhya (moderate) –Chandovathi, Ranjani, Marjani , Raktiki, Ramya and Ksobini. King Nanyadeva, a prince of a later branch of the Rastrakuta (Karnataka) dynasty is said to have reigned in Mithtili between 1097 and 1154 A.D. His capital was at Simarampur (modern Simraon), now within Nepal. Though his Sarasvati-hrdaya-alamkara hara was primarily written as a commentary (bhashya) on Bharata’s Natya-shastra, it is, for all purposes, treated as an independent work. Because, he introduced many new matters such as – the grama and jati ragas that were not commented upon by earlier authorities. He also mentions Karnata-pata tanas and gives references to the music of South India. The Sarasvati-hrdaya-alamkara hara contains four main chapters : Vachika, Angika , Satvika and Aharya. Nanyadeva is cited as an authority by Sarangadeva. His text not only includes descriptions of several Ragas, but also about 15 examples of compositions (called Panikas, which are of lighter nature might have been used for dancing as also for singing in groups) with notations for vocal rendering. The Panikas belong to a genre of music forms called Gitakas or Prakaranas of varying rhythmic patterns (as opposed to the modern compositions set to a particular Taala). These are no longer in use. Each rhythmic suit is identified by the number of matras (time units), by claps and gestures to measure the time of the beats. The Notations used by Nanyadeva are simple pitch notations by numbering the Svaras (Sa, Ri, Ga, Ma, Pa, Dha, Ni). However, no distinction is made between Shuddha Ga and Antara Ga; or between the standard Shuddha Ni and Kakili Ni. Some notations are indicated by placing dots as superscripts. In some cases, it is not clear; as it appears the copyists might have got confused. Nanyadeva derives most of his materials from Narada, Yastika, Kasyapa and Matanga, the last two of whom are profusely quoted as important authorities. He remarks: “How could people of lesser intelligence succeed in swimming across the ocean of Ragas which such early exponents as Matanga and others failed to cross,” meaning thereby that it is impossible to describe the melodies exhaustively. He introduced a new term called ‘Svarakhya ragas’, i.e., Ragas which take their names according to the notes (svara) e.g. the Grama ragas such as Sadji, Arabhi, Dhaivati, etc. Similarly, the term Desakhya ragas, indicated Ragas which derive their names from the country, province, or region of their origins. They are five in number, and, are classed as Upa-ragas: Dakshinatya, Saurastri, Gurjari, Vangai, and Saindavi. Of the various melodies described by their note structures and notations we come across some new names such as ‘Stambha-patrika’ and ‘Tumburupriya‘. Nanyadeva devotes a small section of his work for indicating the presiding deity of the principal melodies. Some indications are also given as to the appropriate hours and seasons for the Ragas. Manasollasa (also called Abhjilashitarta Chintamani) ascribed to the Kalyana Chalukya King Someshwara III (1127-1139 AD) is an encyclopedic work, written in Sanskrit, covering a wide variety of subjects ranging from the means of acquiring a kingdom, methods of establishing it, to medicine, magic, veterinary science, valuation of precious stones , fortifications, painting , art, games , amusements , culinary art and so on . The third section called upabgogasya vimsathi details twenty kinds of upabhogas or enjoyments. The chapter on annabhoga describes how various recipes are prepared as well as how they should be served to the king. Manasollasa is a treasure trove of ancient recipes. In general , it provides valuable information on life of those times. It is also of historical importance as it gives the geographical description of Karnataka of 12th century and details of its people. The work is divided into five sections called Vimsathis because each contains twenty Adhyayas (chapters) . The book is thus a tome of 100 chapters. Each chapter is dedicated to a specific topic. The five Vimsathis are: the Rajya Prakarana; Prapta Rajya – Sthairikarana; Upabhoga; Vinoda and Kreeda. The treatment of the subjects is sophisticated, cultured , suiting the elite atmosphere of a King’s court. The first Vimsathi, Rajya Prakarana, describes the means of obtaining a kingdom and the required qualifications for a king. The second, Prapta Rajya Sthairikarana describes the ways of maintaining a king’s position strong and stable. The Upabhogasya vimsati describes how a king must enjoy a comfortable life. In this section two chapters are dedicated to annabhoga or enjoyment of food and jala or paniyabhoga enjoyment of drinking water and juices. The next Vinoda vimsathi describes how a king should amuse himself. The last section Krida vimsathi describes various recreations. The last two sections , in particular, are virtually the guides to Royal pastime (vinoda). The subjects of Music and dance are covered under the fourth Section, the Vinoda Vimsathi. The Vocal and instrumental Music is covered two sections Geeta Vinoda and Vadya Vinoda ; and , dance is covered under Nrtya Vinoda. King Someshwara was himself an accomplished musician and a gifted composer He is said to have composed in varied song-formats such as : Vrtta, Tripadi, Jayamalika, Swaraartha, Raga Kadambaka, Stava Manjari-, Charya and so on. He composed Varnas, Satpadis and Kandas in Kannada language . In addition, he compiled Kannada folk songs relating to harvest season , love , separation ( in Tripadi); marriage-songs (in Dhavala); festival and celebration songs (Mangala); marching soldiers (Raahadi); and Sheppard-songs (Dandi). Manasollasa defines chaste Music as that which educates (Shikshartham), entertains (Vinodartham), delights (Moda Sadanam) and liberates (Moksha Sadanam) – This, I reckon, by any standard, is a great definition of Classical Music. And, this is how the chaste and classical music is defined even today. Such Music, he says, should be a spontaneous source of pleasure (nirantara rasodaram ), presenting varied bhavas or modes of expressions (nana- bhaava vibhaavitam) and should be pleasant on the ears (shravyam) . It says, “One should sing of the manifestations of God like Vishnu and Siva. Out of desire for wealth or honor, one should sing of ordinary mortals; if he sings of them, he is to be condemned”. Manasollasa classifies Ragas as Shuddha , Gauda , Sadharana etc. Some of the Ragas are named after the region (Desi)they are associated, such as Turki –Todi etc. It about fifty-one Ragas, and thirty-one types of Taalas. According to Someshwara, Desi-ragas that were derived from the names of regions, were current in his time, in popular and beautiful forms – (Desi-raga…desa-nama-samudbhavah I Pravartante vinodesu siimpratam sumanoharah). He then says: “The Raga develops by hearing, and the mind is always pleased and elated by it; therefore, they are called Ragas. I am proceeding to recite them by names- (Ragah pravardhate srutya rajyate manasam sada/ Tena ragah! samakhyata namatastan vravihyahami). Then, he gives a list of the different classes or types of Ragas, apparently current in his time . The five suddha ragas are stated to be: (1) Shuddha-sadava; (2) Shuddha-panchama; (3) Shuddha-sadharita; (4) Shuddha-kaisika-madhyama; and (5) Shuddhakaisika. The names of the five Bhinna’ragas are given as : (1) Bhinna-shadja ; (2) Bhinna-tana(?) ; (3) Bhinna-kaisika-madhyama; (4) Bhinna-pancahma (5) Bhinna-kaisika. The three Gaudas are: (1) Gauda-panchama; (2) Gauda-kaisika-madhyama; (3) Gauda-kaisika. The ragas proper are said to be eight in number: (1) Sadava; (2) Vodda-raga, (3) Malava-panchama; (4) Takka-kaisika; (5) Sauvira; (6) Malava-kaisika; (7) Hindola; and, (8) Taka. Of the Sadharana Ragas, seven names are given: (1) Narta; (2) Saka; (3) Kakubha; (4) Harmana-panchama; (5) Rupa-sadharita; (6) Gandhara-pancahma; and , (7) Sadja-kauslka. Sri-raga; Soma-raga, Malava-kausika; Hara-puri(? ); Hindola; Desi-Hindola; Bhairivi; Mahlara; Saveri; Valiti (? Vahuli); Vangala; Karnata-Vangala; Gurjari; Saurastri; Pun-nata; Kaisik; Suddha-varali; Karlnata-varati; Dravida varati; Suddha-nati; Megharaga; Ahiri; Chayanati; Todi (? ); Dulli-Todi; Vahlana; Vahurl; Vala-ulli; Chaya-vela-ulli; Cundyi; Hamsa; Khambhari; Kamoda; Silmhali-Kamoda; Desanaka (?) Desakhya); Danthibhi(? ); Kolahala; Saindhav; Damva’krti; Ramakrti; and, Nanda-kiti. This is an interesting list. By the time of Sarangadeva, the names of the Ragas had changed grately; and , many new Ragas had come into use. Someswara in his Manasollasa comments upon the desired qualities of a singer, voice culture, ways of elaborating a song etc besides clearly stating the structure and the components of a class of Music called Prabandha which dominated Indian Music till about the end of 17th century. And, it offers views and comments on, Alapana, Gamaka , a composer etc. It lists seven qualities of a singer: Shaariram (Voice); Dhwani (tonal quality and suggestion in the voice); Medha (learned both in lakshya and lakshana); Praudi (maturity or expertise); Gamaka Kaushalam (skill in adorning the music with graces) ; Taala gnanam (sense of Taala and understanding rhythm) ; and, Nirbhayata (self-confidence, fearlessness). Someshwara lists five qualities (Guna) of a good voice as : Madhurya (sweetness) ; Snigdha( possessing high quality and sweetness even in high octaves); Ghana ( rich and resonant) ; Svaraka ( clear voice that can carry over to distances) ; and, Swanaka ( in which all the beautiful qualities are combined). Madhurya (sweetness) is the quality of sound that is sweet, melodious as that of Veena and Vamsi (flute) , matching that of a Cuckoo‘s sound . Ghana is the rich and resonant tonal quality. Sravaka is the clarity and loudness that can be heard from a long distance without losing sweetness or Madhurya. Swanaka is the comprehensive quality that is considered very important and best among the qualities (dhvani-nam-uttamh). It is the sound which is very melodious in the high octave and possesses all the beautiful features described earlier. The composers (Vak-geya-kara) are classified into three classes: the lowest is the lyricist; the second is one who sets to tune songs of others; and, the highest is one who is Dhatu Mathu Kriyakari –who writes the lyrics (Mathu), sets them to music (Dhatu) and ably presents (Kriyakari) his composition. Manasollasa makes a very interesting comment on the role of the organizer of the Music-meet. It says that the Sabhapathi, the organizer or the host should have good knowledge of Music and Shastras . He should be physically fit, mentally sound and must be in a tranquil frame of mind. He can afford to sit and enjoy music only after he fulfilled all his responsibilities and duties. It also mentions how the listening audience should behave and interact to music. The work suggests that the audience must be youthful in its frame of mind to be able to appreciate music . As regards Dance, the Manasollasa deals with the subject in the sixteenth chapter titled Nrtya-vinoda, coming under the Fourth Section of the text – the Vinoda vimsathi. It is dealt with in 457 verses (from 16.4. 949 to 16.4.1406) of the sixteenth chapter. Someswara introduces the subject by remarking that dances should be performed at all joyous occasions, such as: festivals; celebration of conquests achieved; success in competitions and examinations as well as festivities of joy, passion, pleasure and even when someone enters into Sanyas (the stage – asrama – of renouncement). The term that Someswara uses for dancing, in general, is Nartana, which he divides into six types: Natya (limb movements), Lasya (delicate), Tandava (vigorous), Visama (acrobatic), Vikata (comic or ludicrous) and Laghu (light and graceful). Someswara classified the whole of dancing into two major classes: the Marga and Desi. The term Marga (literally ‘of the way’ or ‘path’) refers to those arts that adhere to codified rules; while Desi stands for all those several types of unregulated dance forms with their regional variations. Later, around the same time, Sarangadeva, in his Sangitaratnakara; and, Pundarika Vittala in his Nartana Nirnaya, following Someswara, adopted the Marga-Desi concept for classifying various dance forms. The authors of the later times followed such classification. Thus, in Manasollasa, we find four recognized categories of dance forms that were developed after Natyashastra, viz: Nrtya, Lasya, Marga and Desi. Dr. Mandakranta Bose observes: The term Nrtya was first recognized as a distinct category of performance in the Dasarupaka. The Manasollasa takes the term to represent the whole art of dancing. It is also the first text with a complete and sustained discussion on dancing which treats Lasya as a division of dancing. It is also the earliest extant work, which laid emphasis on the Desi aspect for which later writers on this subject are indebted. For these and other reasons, the Nrtya Vinoda of Mahasollasa, occupies a significant place in the sizable body of dance literature. Another important contribution of Nrtya Vinoda is that it serves as a source material for reconstruction of the dance styles that were prevalent in medieval India, since it is the earliest text that describes various dance forms in vogue during its time. In regard to Dance-movements, Someswara classifies them into Six Angas, Eight Upangas and Six Pratyangas. The last mentioned sub-division viz. Pratyanga is an introduction made by Someswara into Natya terminology; the Natyashastra had not mentioned this minor sub-category. The other important contribution of Someswara is the introduction of eighteen Desi karanas, (dance poses) that were not found in other texts. Someswara, in about seventy verses (16.4. 1307- 78) describes varieties of Nrtta-hastas – gestures through hand and finger movements – which though devoid of meaning on their own, yet add beauty and grace to dance movements. Here, he mentions 21 Sthanas and 26 Caris (Verses 1307- 78); 18 karanas of the Desi variety, none of which was found in earlier works. He remarks that these varieties of Nrtta-hastas should be performed either by a dancer; or , by the king himself to please his beloved. Six types of Nartakas (dancers) are mentioned. The term Nartaka , here, stands for performers in general ; and, it includes Nartaka (dancer); Nata (actor); Nartaki (danseuse); Vaitalika (bard); Charana (wandering performer); and, Kollatika ( folk dancers who dancing around in circles rhythmically striking each other’s sticks acrobat – as in Dandi Raas – the term kolu in Kannada is a stick). Sangita-Cudamani of Jagadeka Malla (1138 to 1150 AD ) – son of king Someshwara , author of Manasollasa – covers many topics related to music , such as : Alapana and Gamaka; the desired qualities of a singer, of a composer; the voice culture; design of the auditorium, and so on . Its author who is also known as Pratapa Prithvi Bhuja. Jagadeka Malla the king of Kalyan . Parsva Deva followed the work of Jagadekamalla on subjects like ragas, Prabandhas, etc. Sarangadeva too mentions him with respect. The author of Sangita Samayasara, Prasavadeva was a Jain Acharya of 12th or early 13th century, who was widely acclaimed for his musical knowledge; and was honored with the title Sangita-aakara (ocean of music). The date of the author is uncertain. But, since he refers to Bhoja (1010-1050 A.D), Somesvara (about 1131 A.D.), and Paramard (about 1165 A.D.) it is surmised that Parsvadeva’s time might be 12th or early 13th century. Parsvadeva devotes a short chapter of 75 verses to the ragas. He does not state what are the major ragas; and, he principally deals with the minor ragas under the various sub-divisions of Ragangas, Bhashangas, Upangas and kriyangas, which he defines as: ‘Ragangas are socalled by the learned as they imitate the appearances (shadows) of ragas. Similarly, Bhashangas are imitators of the visages (shadows’) of Bhashas. The Upangas are so-called by the learned by reason of imitating the visages of the Angas. Then, Parsvadeva proceeds to enumerate the Ragangas, Bhashangas, Upangas and Kriyangas under the three groups of Sampurna, Sadava, and Odava. Parsvadeva, in his work, quotes frequently many ancient authors such as Kasyapa, Yastika, Kohala, Tumburu, Dattila, Anjaneya, Matanga; in addition to his predecessors such as : Raja Bhoja, King Somesvara (author of Manasollasa and Jagadekamalla (the son of King Somesvara ) whom he mentions as Pratapa Prithivibhuja. And, among the later authors who quote Parsvadeva, Sarangadeva is prominent. Though Sangita Samayasara is in Sanskrit , it contains many words of` local language of Maharashtra origin suggesting that Parsvadeva might have been residing in a place where Marathi was the language of the common people. (e.g. thaya, Chitta ce thaya phella phelli, joda ce thaya). The Sangita Samayasara might be taken as the earliest contribution of a Jain author dedicated to Desi Sangita (vocal, instrumental music and dance). And, The Sangita Samayasara along with Manasollasa are the two earliest works that recognize and treat Music and Dance as two separate art-forms. The text pays enormous importance to Desi Music and Desi Dance in contrast to Marga class of Music and Dance. Therefore, its emphasis is on Desi Music and Desi Dance. According to Parsvadeva, Raga-Alapi ( which is similar to Alapana of present-day) is presented in four stages or Svara-sthanas. (1) The Svara on which the Raga commences or is established is Sthayi. The fourth Svara from Sthayi is Dvya-ardha, which is the half-way from the starting Svara. Sounding of the Svara just below it is Mukha-chala. This is the first Svara-sthana. (2) The second Svara-sthana comprises sounding of the Dvya-ardha and returning to Sthayi. The eighth Svara from Sthayi is double the pitch (Sruti). The Svaras in between Dvy-ardha and the eighth Svara are Ardha-sthita Svaras. (3) The rendering of Ardha-sthita and return is the third Svara-sthana. (4) And, rendering of the eighth and returning to the Sthayi as the ending note Nyasa, is the fourth Svara-sthana. The rendering of the four Svara-sthanas followed by Sthapana or the concluding part constitutes rendering of Raga-Alapi. This is done in small measures of Sthaya. As regards the Rupaka-Alapi, it is rendered in two stages. If after rendering Raga-Alapi, the Rupaka-Alapi is taken up, it is then called Prati-grahanika (lit. to take up). And, if it is broken again it is called Bhanjani (lit. to break). Bhanjani is, again, in two stages: Sthaya (after rendering Raga-Alapi) and Rupaka (during the singing of composition). When a Sthaya (phrase) from Rupaka (composition) is presented in various ways with Taala, it is known as Sthaya-Bhanjani. And, if the whole composition is rendered in different ways with Taala, it is called Rupaka-Bhanjani. (These are perhaps the origins of the present-day Pallavi and Neraval). A Svara technique that emphasizes the significant characteristic of a Raga is called Kaku. Parsvadeva’s Sangita Samayasara describes six kinds of Kakus – 1. Raga-Kaku is the essential splendor of a raga; 2. Svara-Kaku is the embellishment of a Raga is shading of its Mukhya Svara through Gamakas ; 3.Desa- Kaku is the introduction of folk and regional inflections into the Raga, giving it a novel and rich form; 4.Anya Raga Kaku is the contrasting quality achieved by introducing Graha-Bheda techniques or bhavas of other Ragas; 5. Kshetra Kaku emphasizes all the rules of the Raga in various combinations; 6. Vadya Kaku is the technique of bringing an instrumental quality into the vocal expression of Ragas. Parsvadeva, the great Sangita-laksankara considers the following five qualities as merits (Guna) of the voice: Madhuryam (sweetness), Sravakartvam (loudness or clarity in voice), Snigdha (not harsh even the high octave), Ghanata (richness), and, sthana-katria-sobha (pleasant in all the three Sthana). The sound which comes out from the throat must be sweet and this quality is described as madhura. The audibility of the voice depends upon the carrying power of loudness and this is known as ―Sravakara. Snigdha is defined as that which is not unpleasant even in singing the high notes and has fluency in producing the notes of the high octave. The voice should be sthana-katroya-sobha– Excellent in all the three Sthanas-Mandra, Madya, and Taara. Sangita-Samayasara has ten Adhikaras (chapters) with 1400 verses work establishes the importance of Desi music (vocal and instrumental) and dance. It deals with dance, instrumental and vocal music of musicology and musical traditions prevalent during its time. The work is in nine chapters and for the most part it is devoted to vocal and instrumental music. The seventh chapter and the last part of the eighth are of interest to the study of Desi dance. Some editions carry a Tenth Chapter which contains an incomplete discussion on Taala (already described earlier in 8th chapter); and, it seems to be a later interpolation by some unknown person. Second chapter deals with the Desi music which was prevalent at that period. Parsvadeva gives a brief account of the formation of human embryo as it is the origin of the sound (human voice). Fourth chapter is on Ragas, their classification and description. Fifth chapter deals with the Nibaddha Sangita (structured or pre composed music). It is a long chapter discusses classification of Prabandhas. Parsvadeva discusses only the Suda Prabandhas. Sixth chapter relates to Music Instruments, their classification and playing techniques with illustrations. Seventh chapter describes aspects of Desi types of Nrtya (dance); and it is a very lengthy Chapter. It is not until the Sangita Samayasara that we find any description of a complete dance. This text not only describes specific dance pieces but also adds a number of new movements of the Cari, the sthana and the karanas of the Desi variety, all of which involve complicated leaping movements. In the beginning of his chapter on dancing, Parsvadeva mentions two kinds of presentation, Nrtta and Natya. He states that he is going to describe only Angika or body movements, a class of movements that is of particular relevance for Nrtta. When he finishes describing these movements, he proceeds to describe modes of presentation, and finally to fully composed dance pieces. Such pieces he calls Desi-Nrtya. The seventh chapter is devoted entirely to Desi dance, which is referred to as Nrtta, its definition and the body movements (Angika) . Like Bharatha, Parsvadeva divides body parts into two: Anga and Upanga. He counts all the movements of the different parts of the body and the karanas and angaharas following Bharatha. But while describing them he does not discuss the Cari, Sthana, Karana or Angahara as in Bharatha tradition; but, he follows the Desi tradition. He describes the forms of Desi-Nrtyas which, according to him, consist of Perana, Pekkhana, Gundali and Dandarasa. He then discusses the Sthanas and Caris needed for these Desi dances. He uses the term Pala for cari, a term not found in any other text. Next, the author describes the utplatti-karanas, also needed for the Desi dances, eleven Desi karanas with different Desi-sthanas, and five Bhramaris; and he then moves on to describing the Angas or features of Desi dances, calling them Desiya-Angani. Jaya, the later author, combines these Desi Angas and the Angas of Lasya into one category called Desi-Lasyas. After describing the Desi Angas, Parsvadeva describes the Angas or parts of Perana. Finally, he discusses the instrumental music, drumming in particular, needed for four kinds of Desi dances, namely, Perana, Pekkhana, Gundali and Dandarasa. The requirements of a good dancer, her physical appearance and the way she should be dressed are also described towards the end of the seventh chapter. Eighth chapter gives a brief description of Taala (rhythmic pattern and its varieties, both Marga and Desi. Ninth chapter, titled as Vada nirnaya (judgment of elocution contest). It is a unique and a unusual topic dealt extensively. It discusses the sitting arrangements, the qualifications of the audience, the poets, the singers, the dancers, the qualities and faults of a singer, drummers and their qualities and faults and those of the dancers of each type of Desi dance. The author warns against making dance and music subjects of gambling matches and ends the text by saying that music leads to Moksha or liberation.